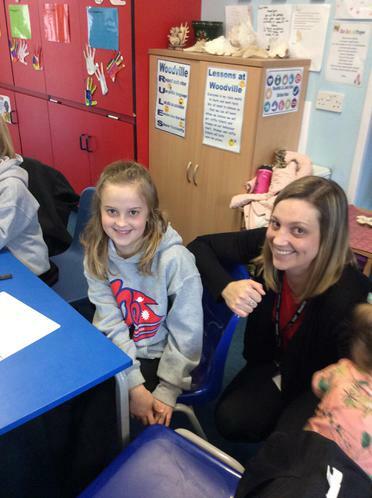 Mrs Lester and Mrs Salisbury, Mrs Thomas and Miss Willett. 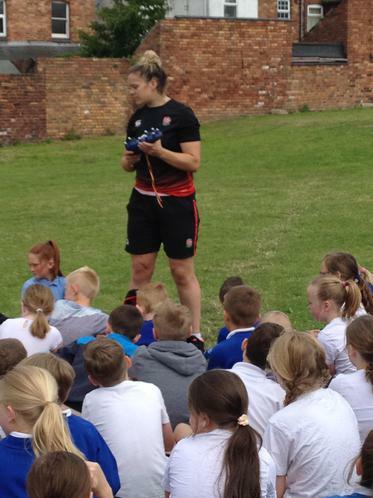 We were very lucky today to have a special visit from Justine Lucas, the England rugby player, visit us to talk about her journey to winning medals for her country. 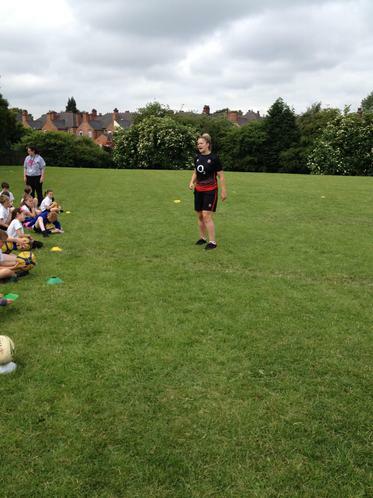 She inspired us to always try our hardest and try other sports as she only began to play Rugby herself aged 20. 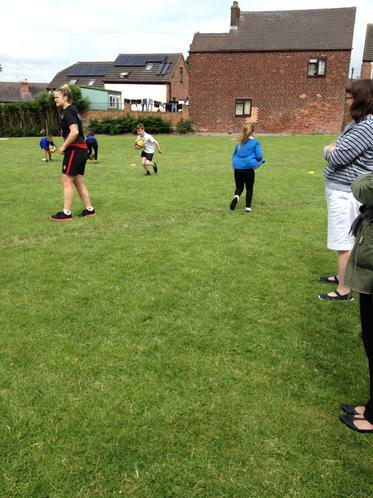 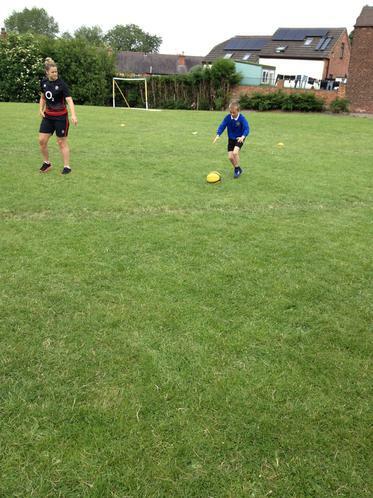 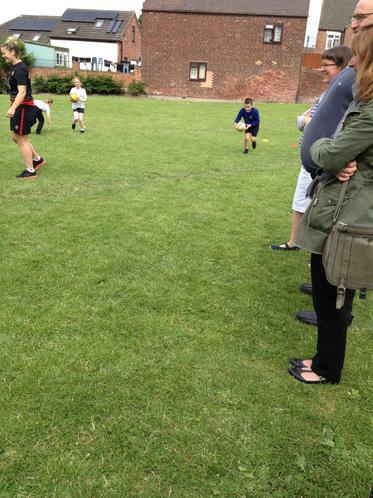 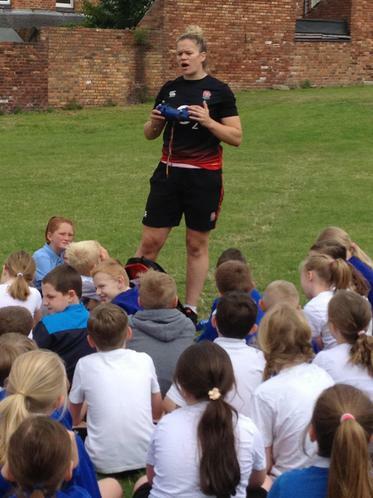 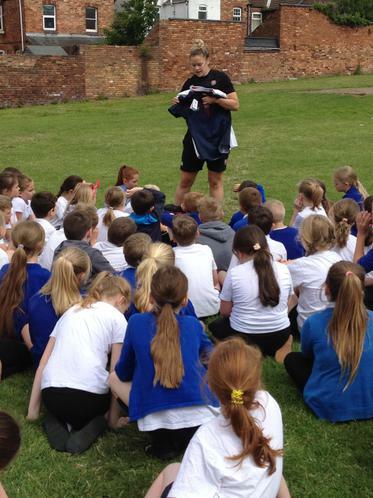 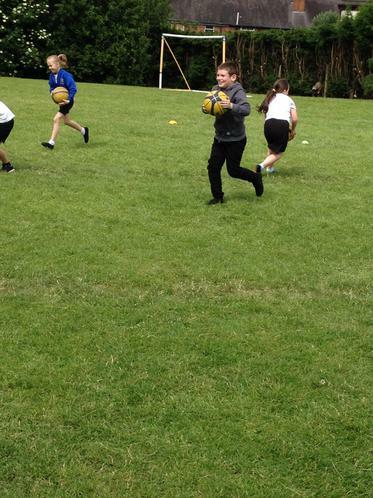 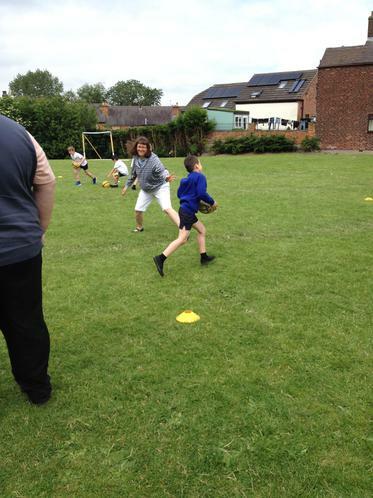 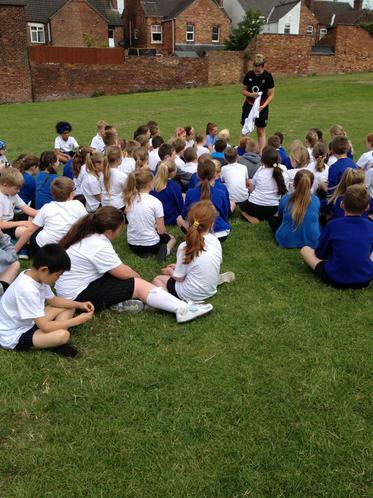 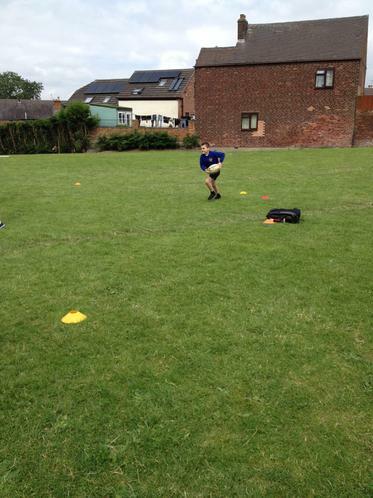 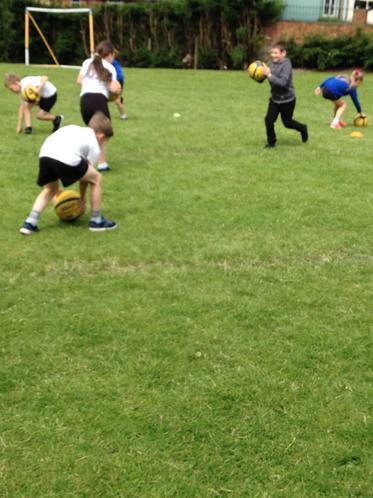 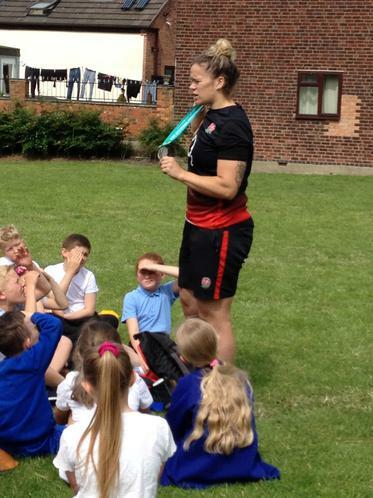 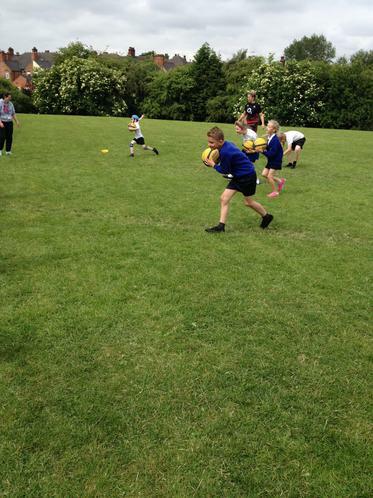 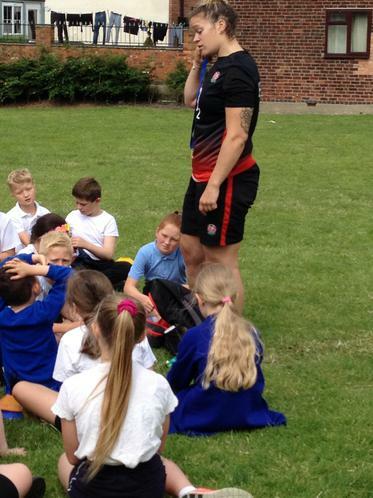 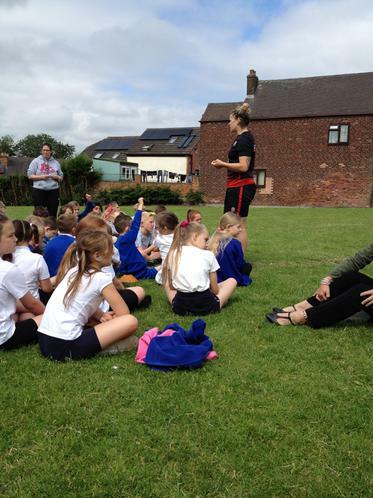 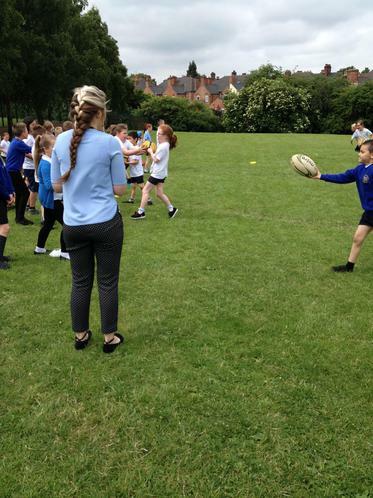 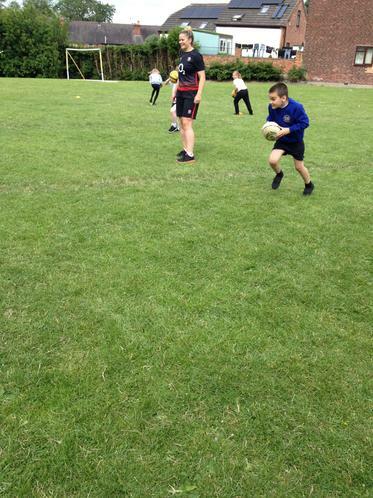 We were able to then do some mini rugby skills aswell as look at her shirts, boots and medals. 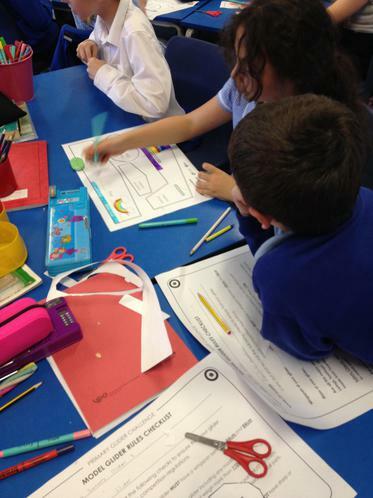 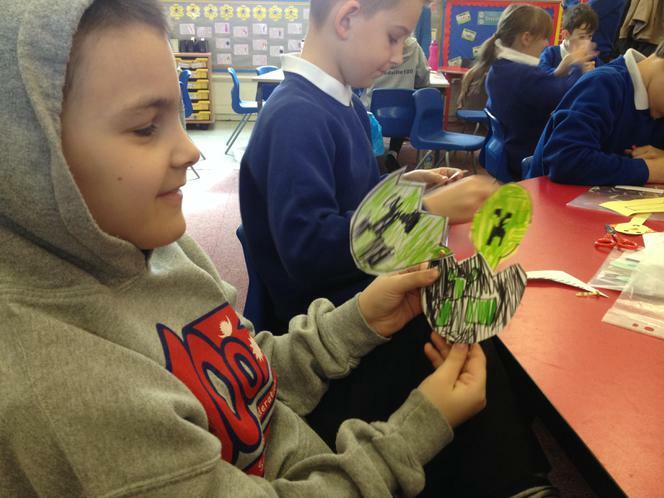 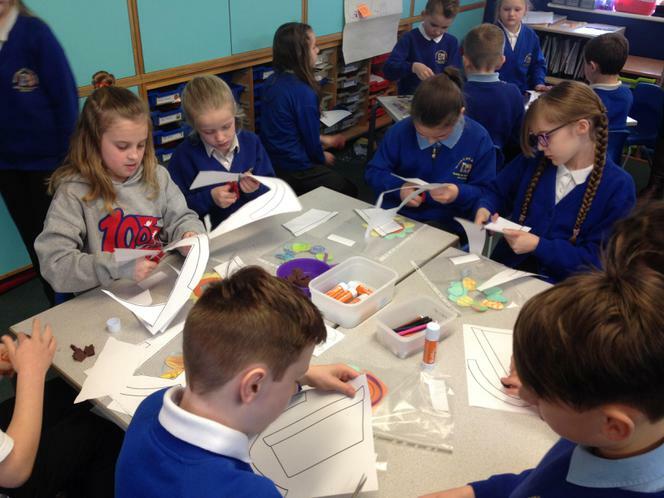 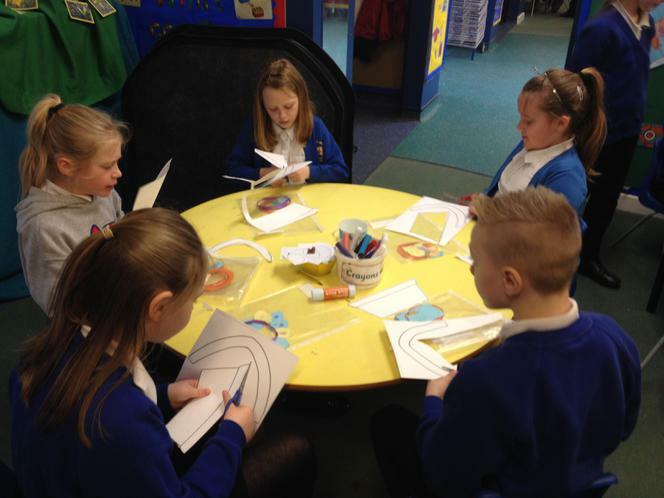 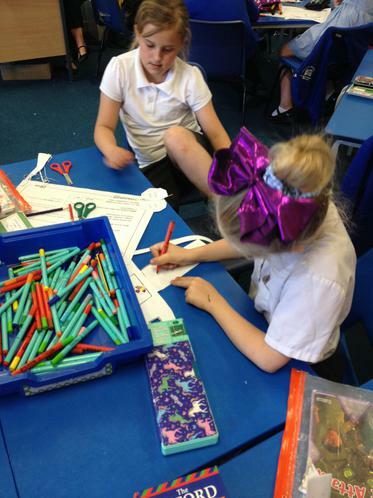 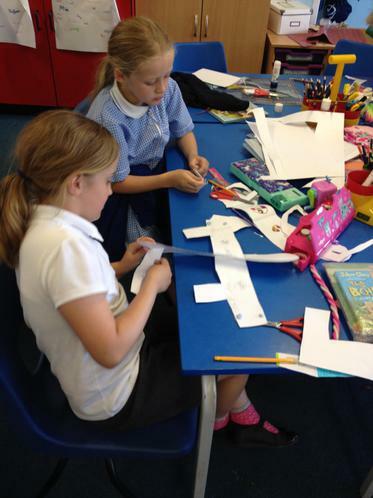 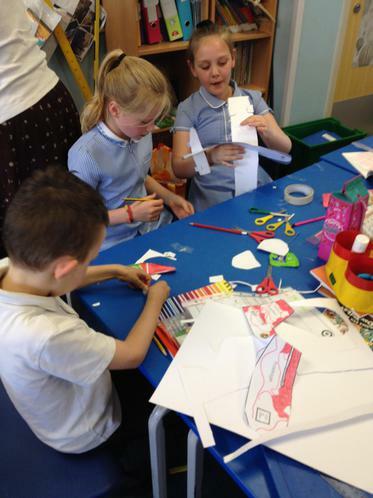 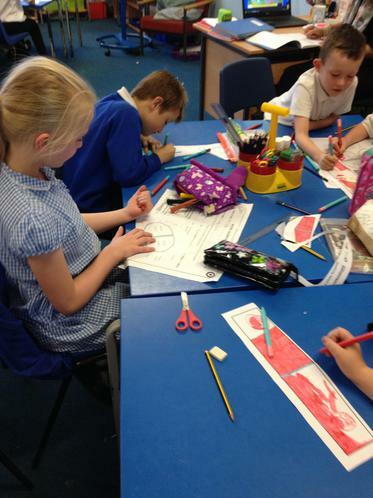 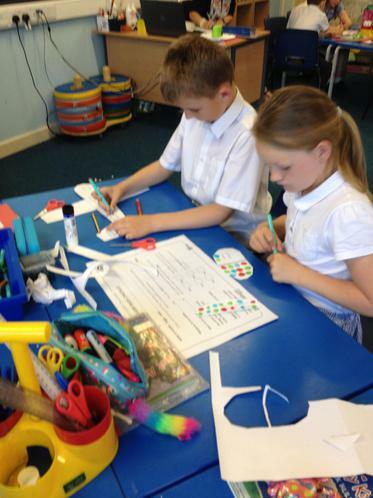 Last term we enjoyed designing and making our RAF glider planes. 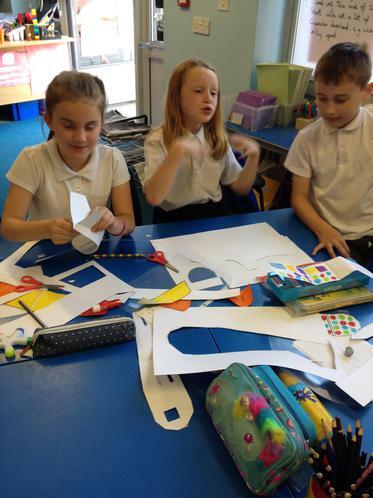 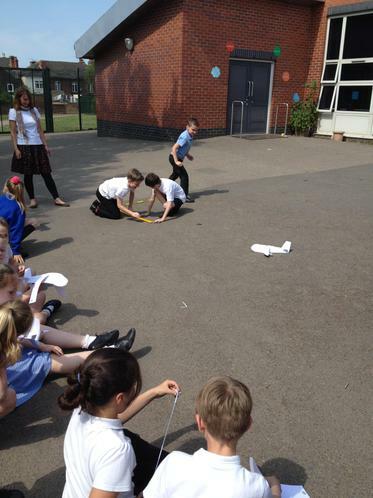 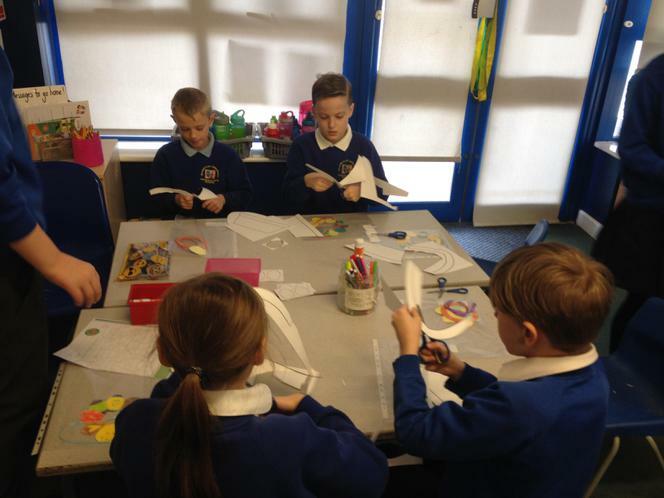 We worked in teams to design, plan and make our glider from paper first and then cardboard. 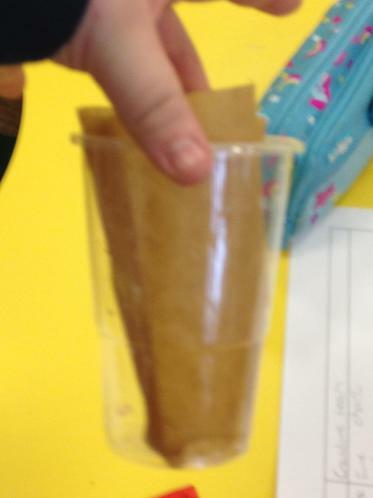 We tested them and then made final amendments. 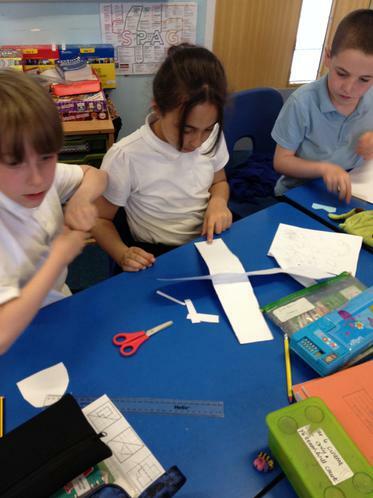 We then made our real glider from foam board. 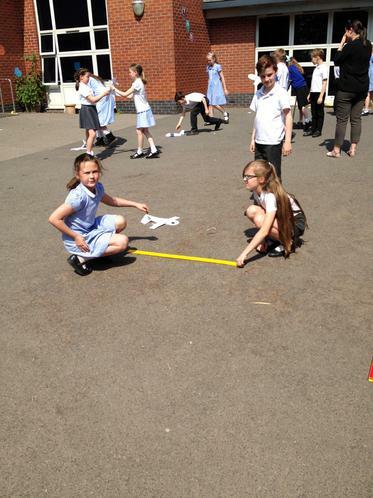 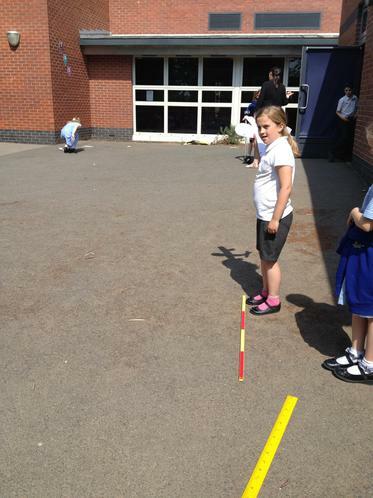 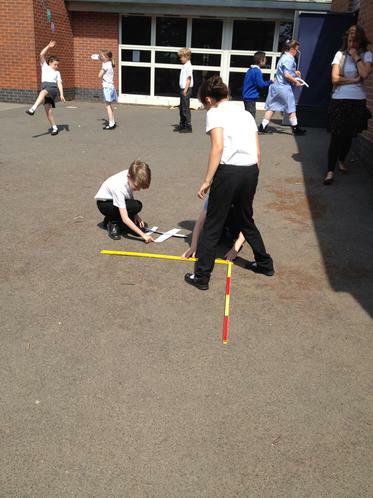 We flew them to see which 3 travelled the furthest. 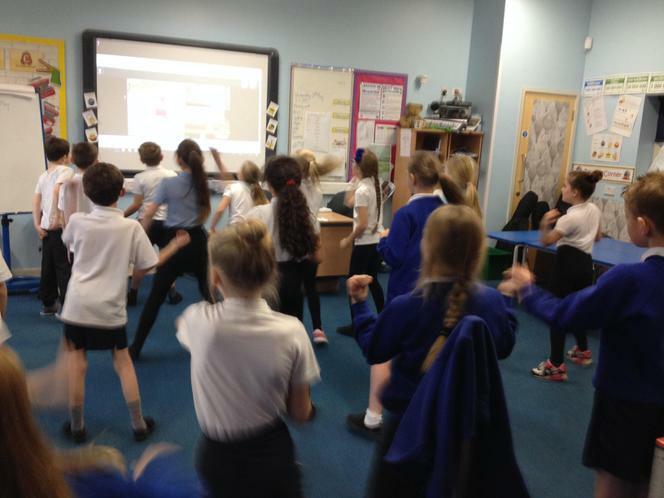 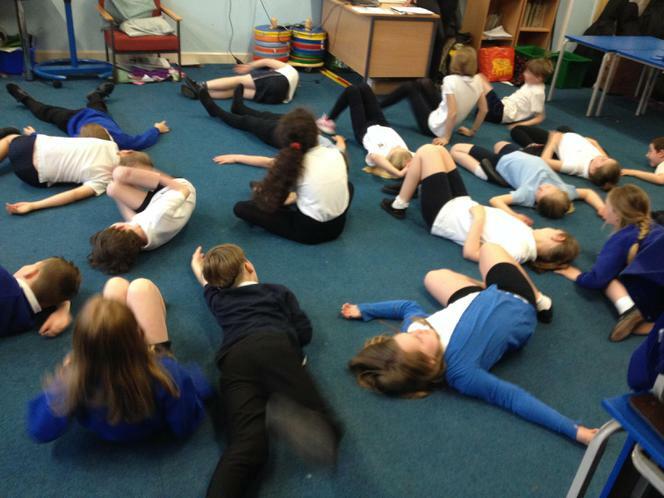 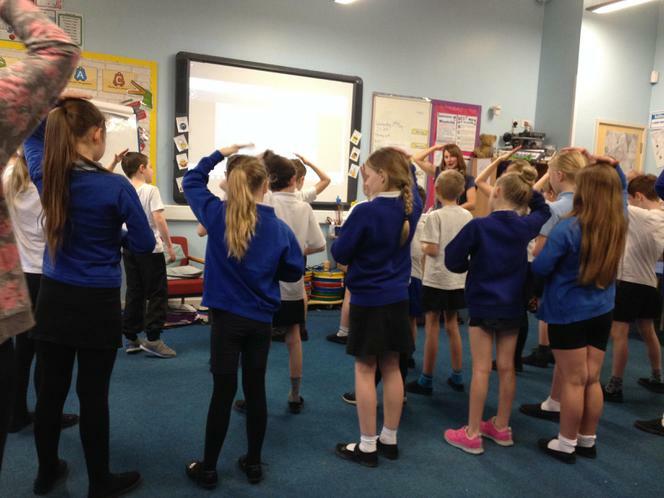 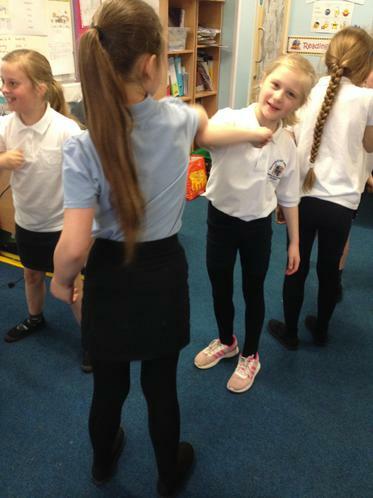 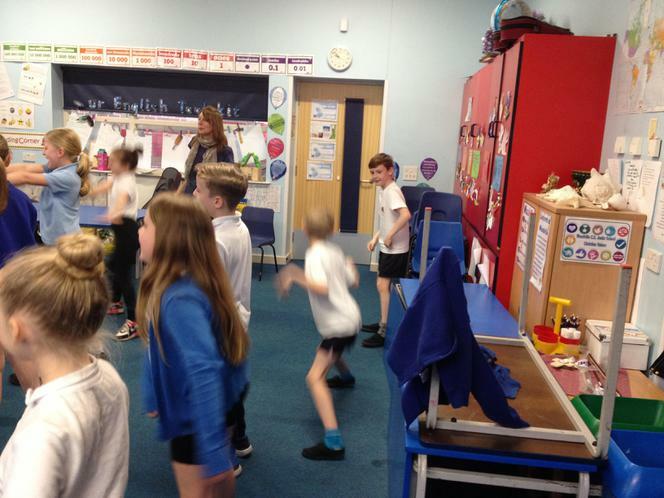 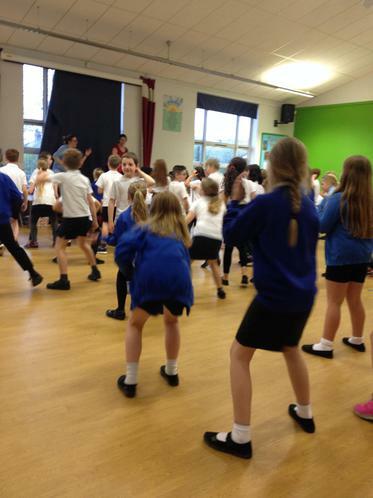 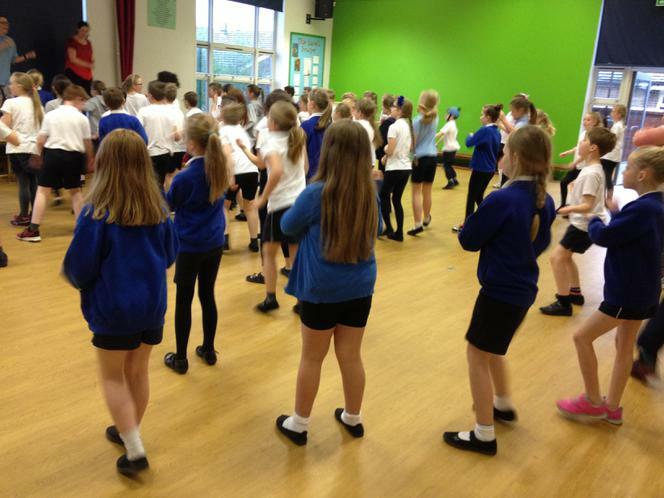 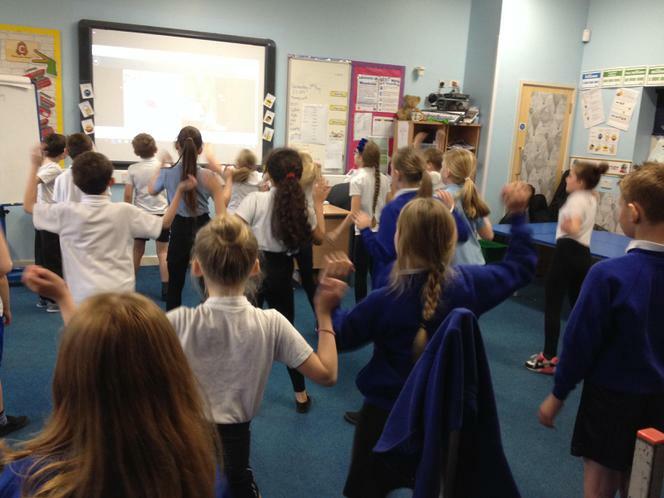 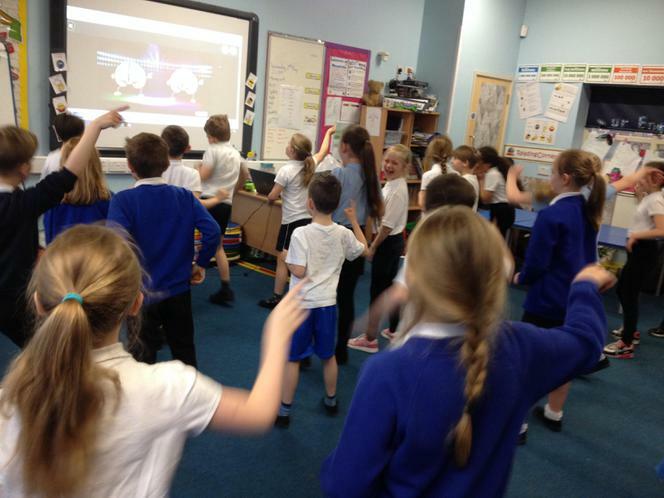 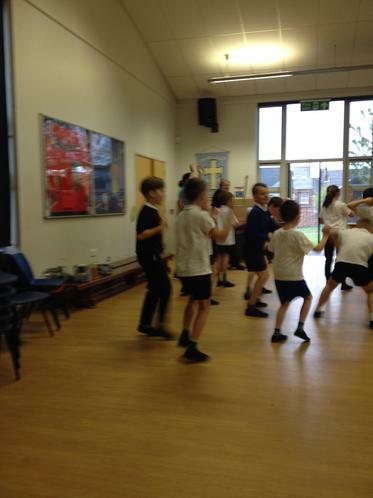 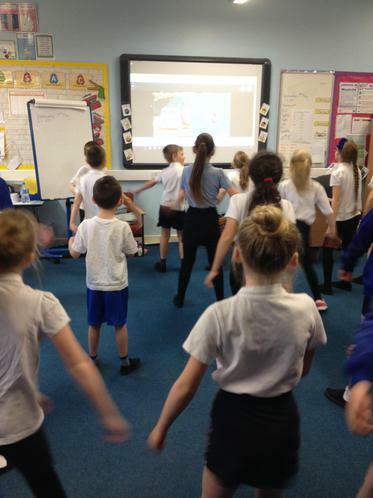 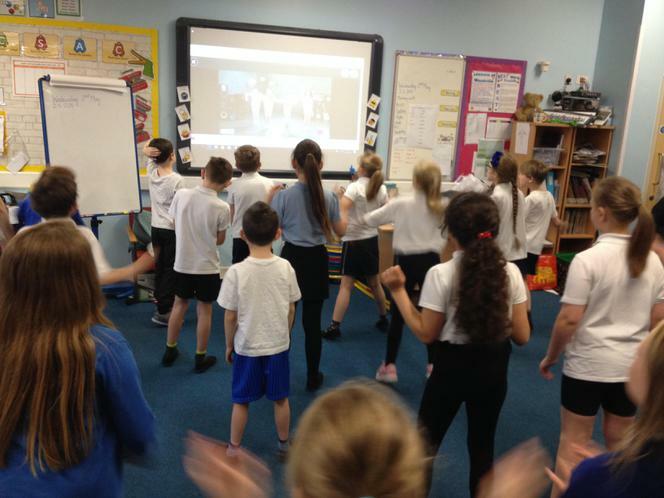 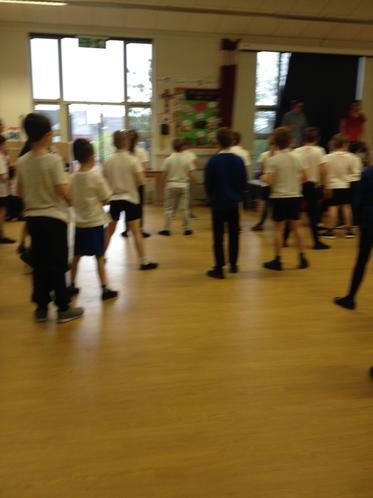 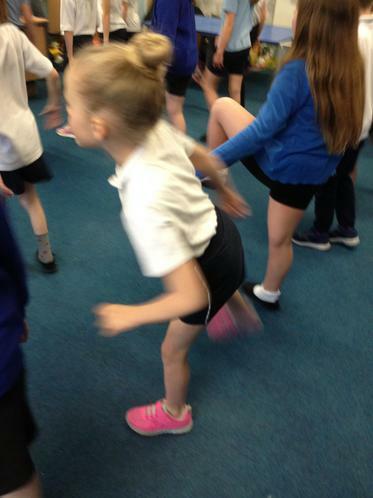 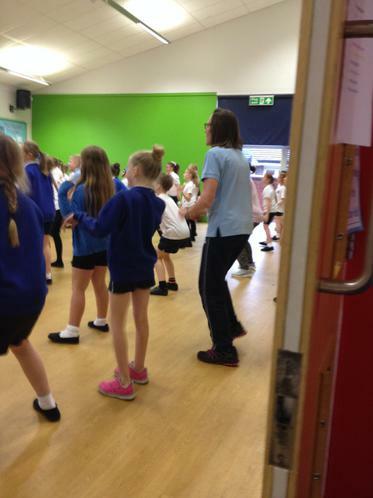 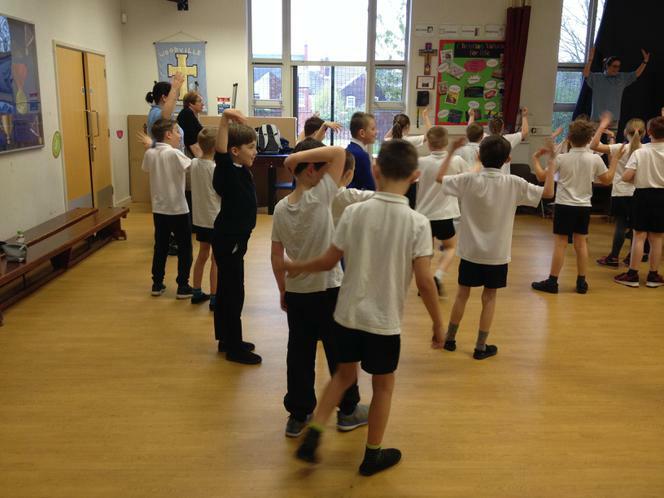 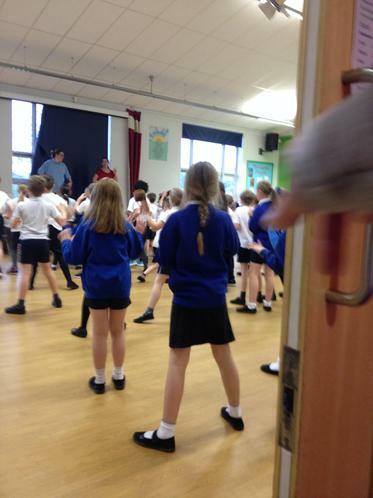 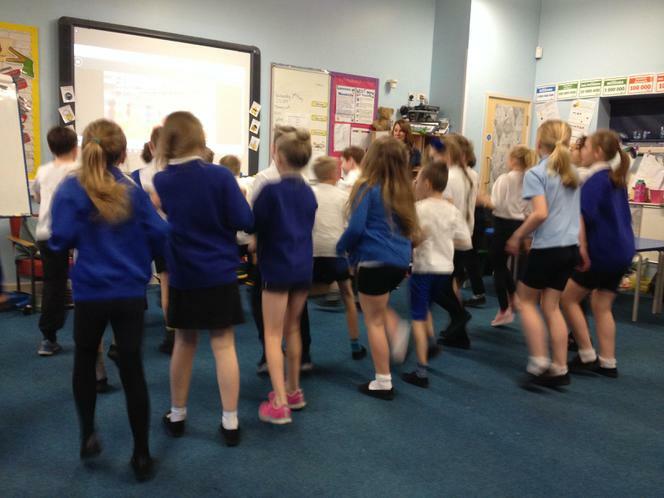 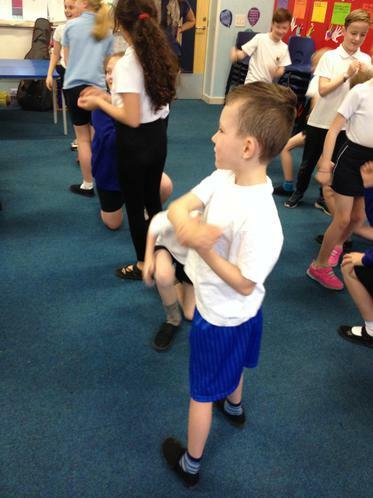 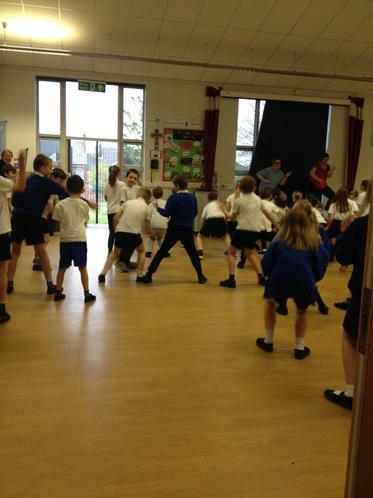 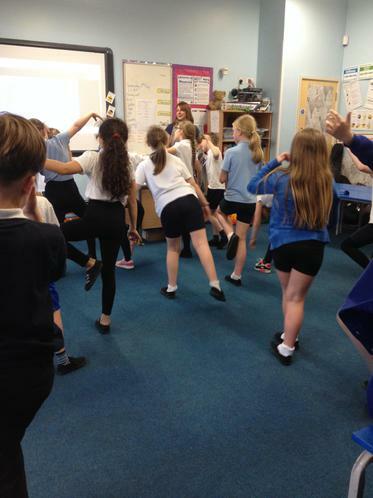 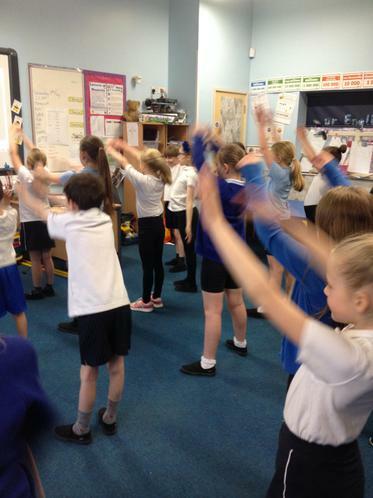 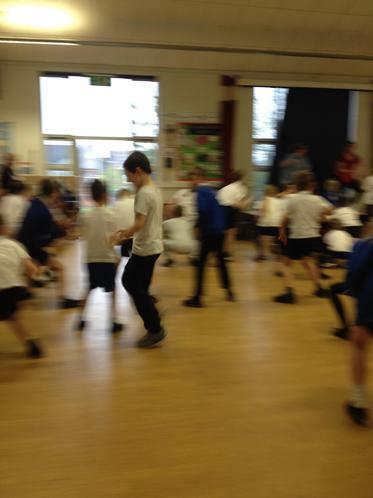 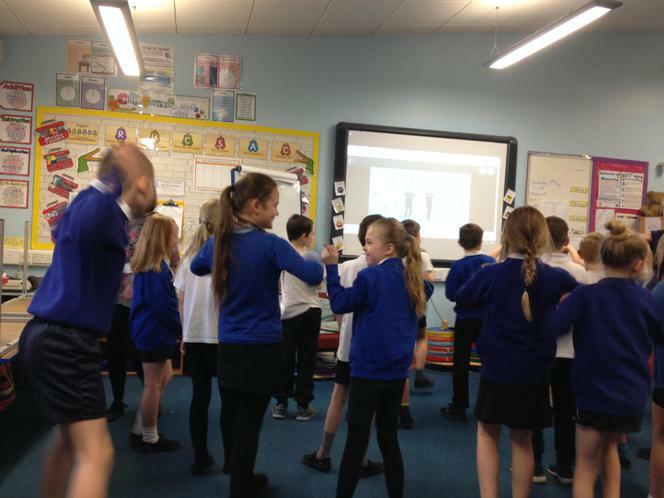 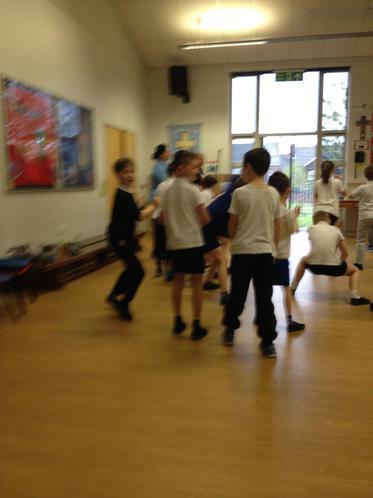 We had a lot of fun doing our exercises this morning, we danced, strectched, did Zumba and even the floss! 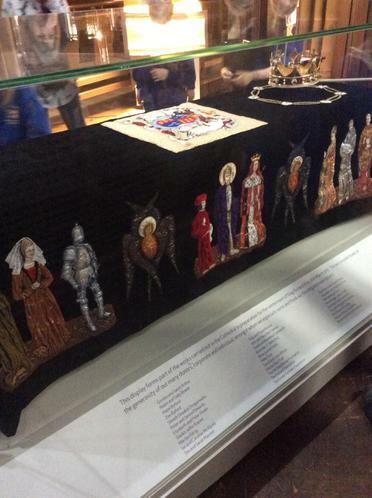 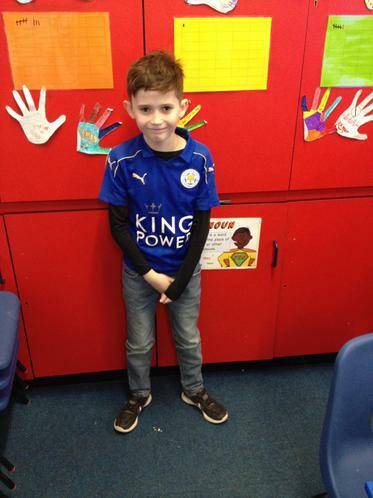 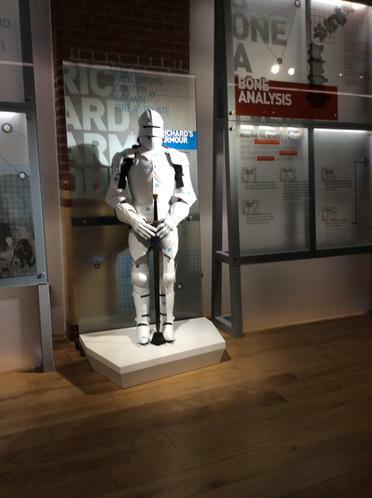 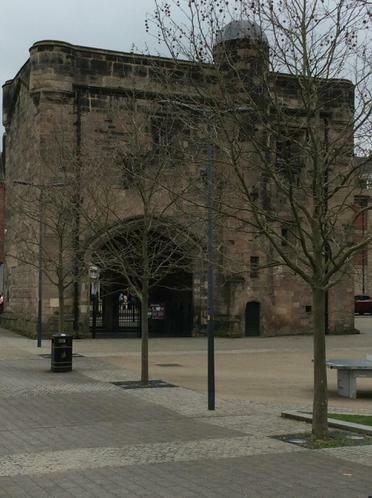 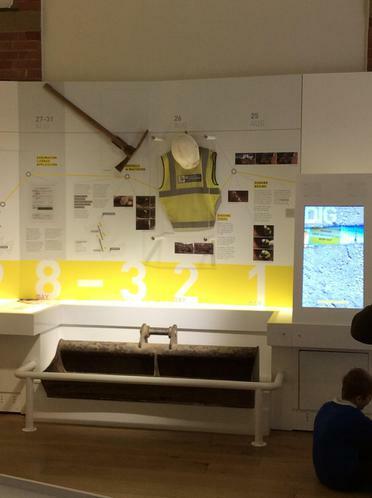 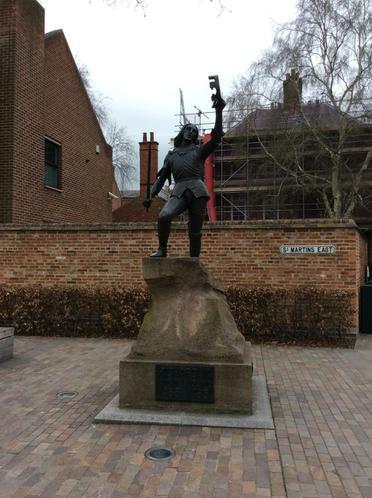 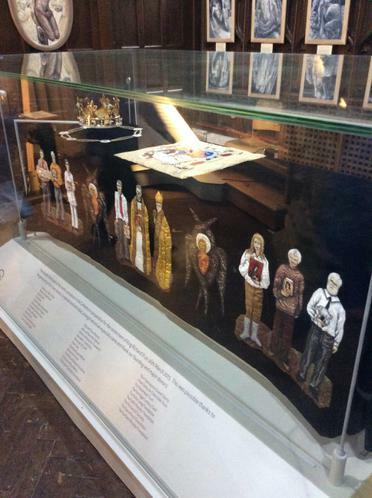 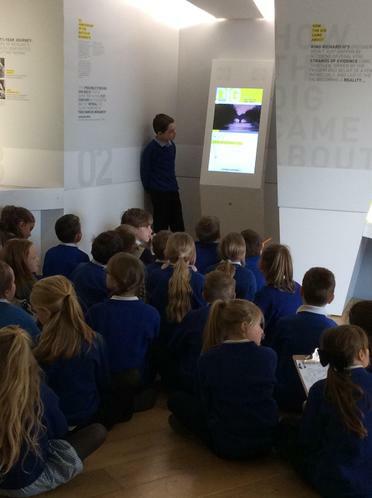 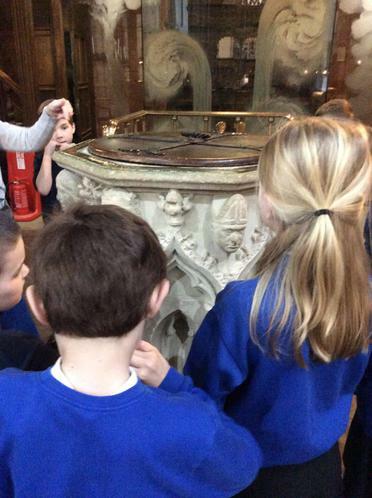 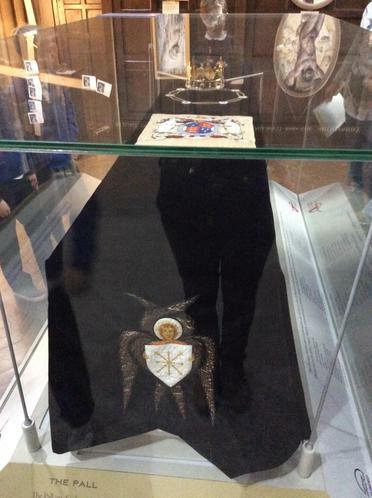 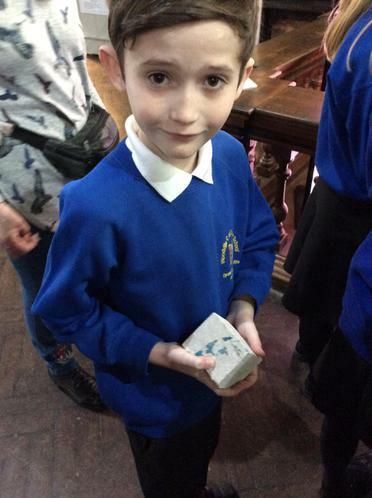 Yesterday we had a lovely day in Leicester learning about King Richard III. 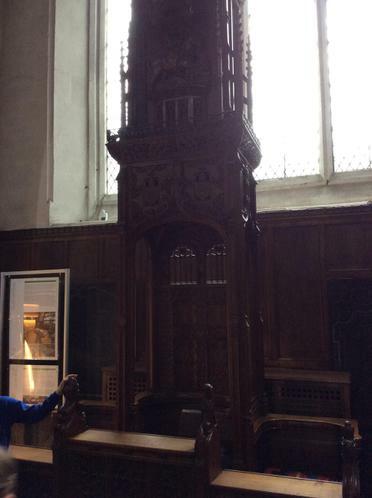 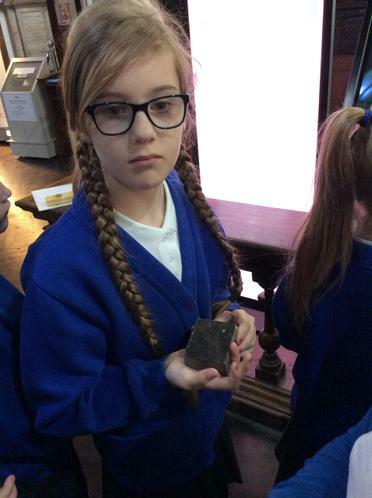 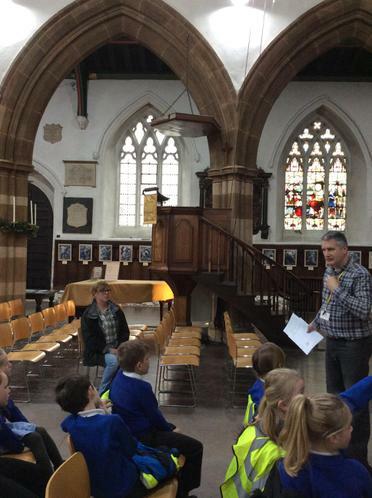 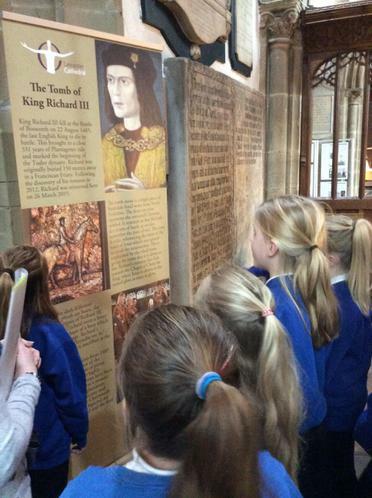 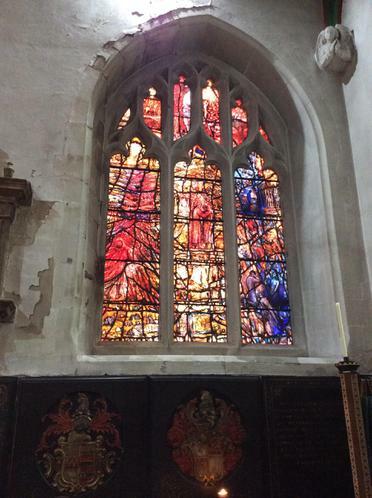 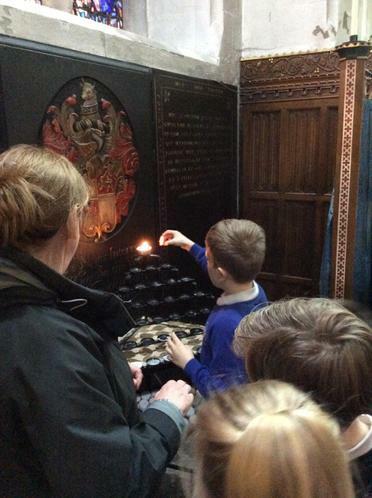 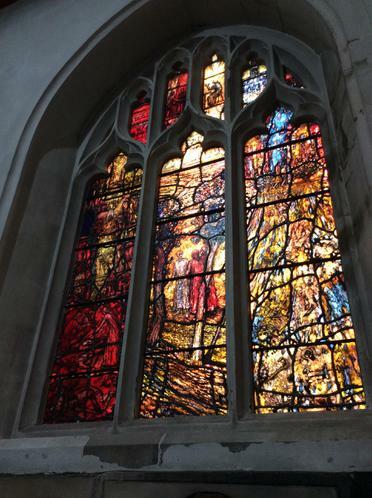 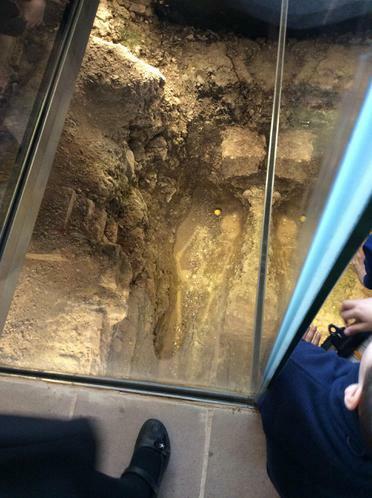 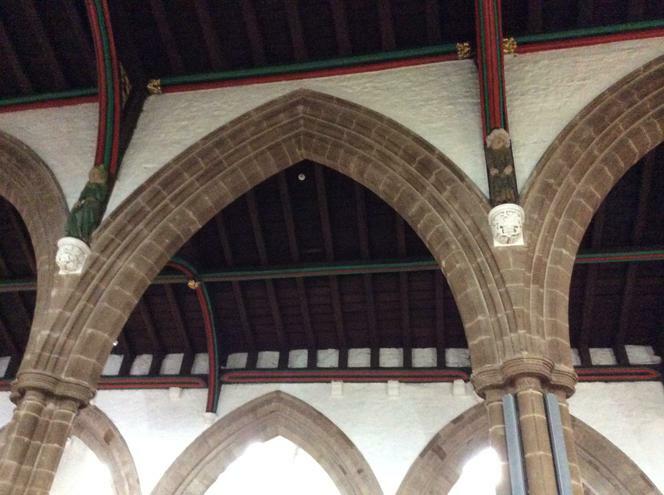 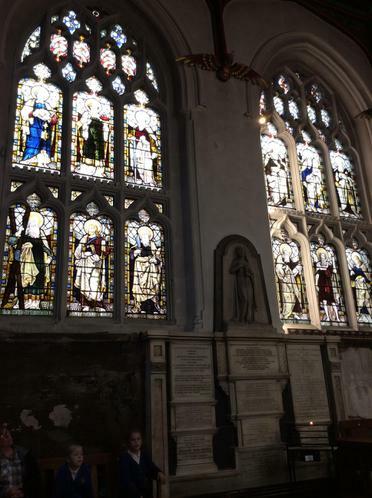 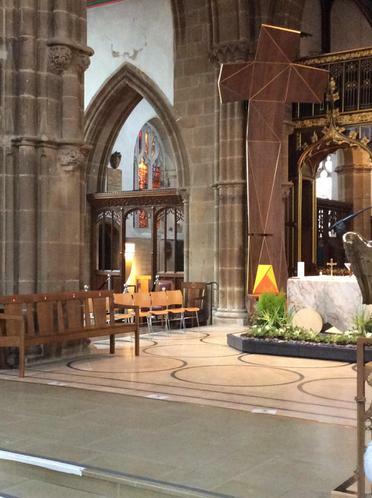 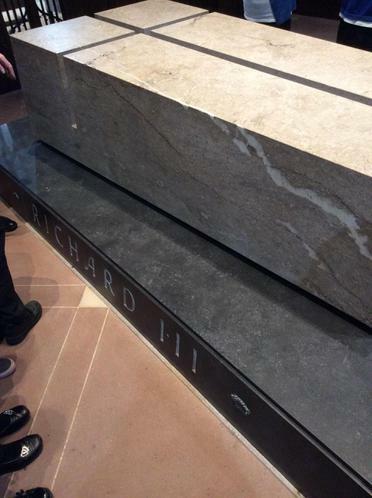 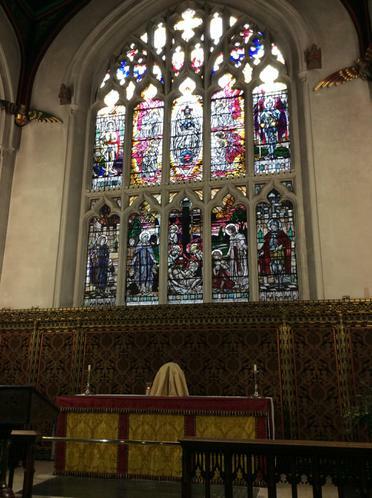 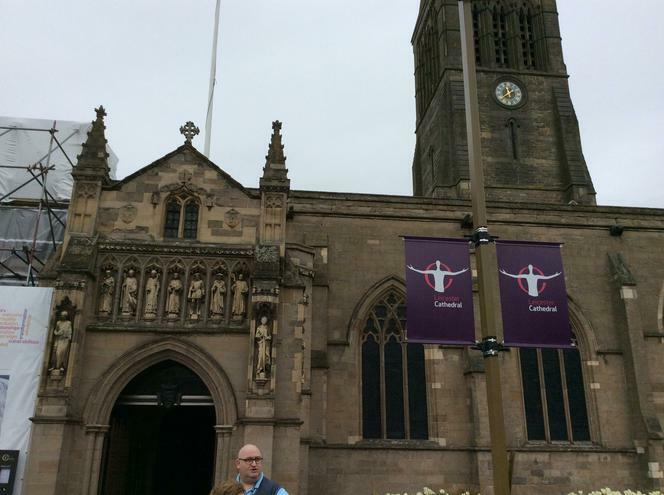 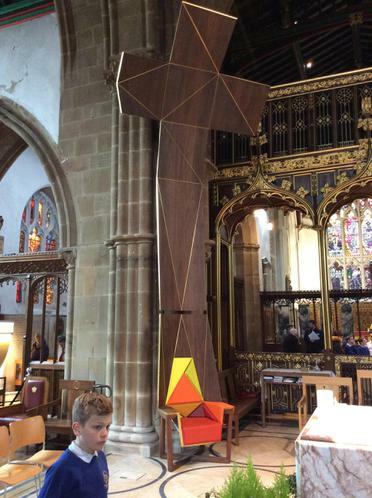 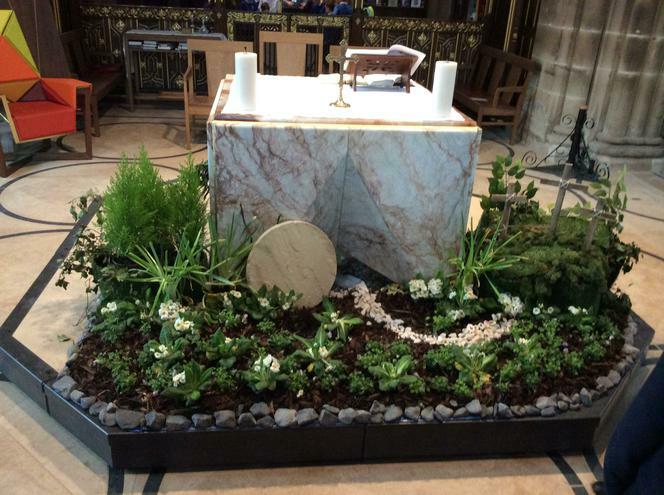 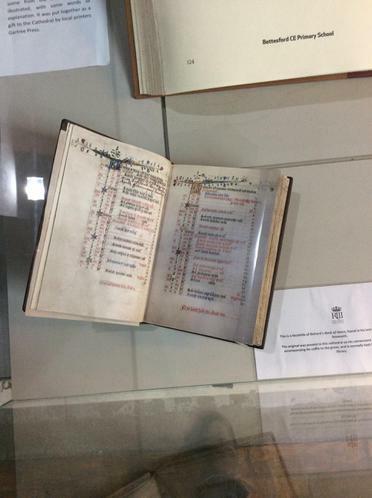 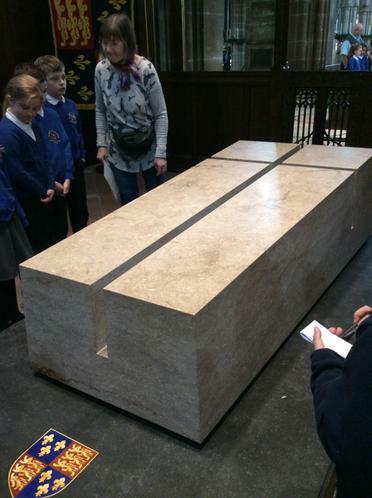 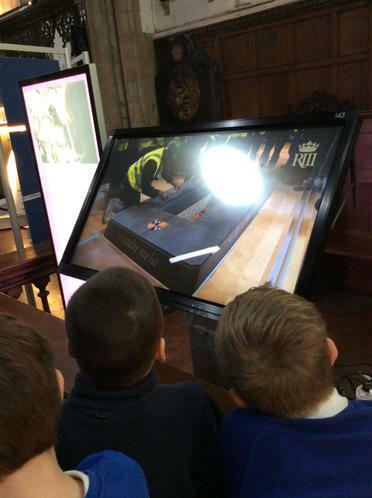 We started off with a tour of Leicester Cathedral, learning about the history and King Richard's final resting place. 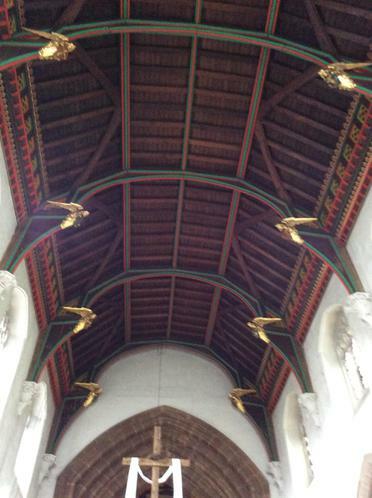 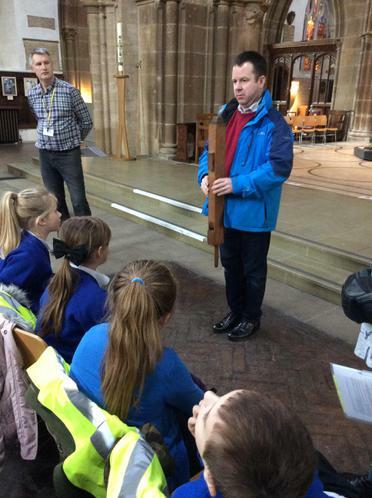 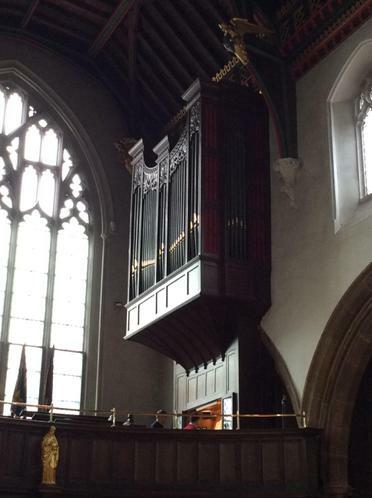 We were also lucky to hear the organ practice and learn about the organ pipes. 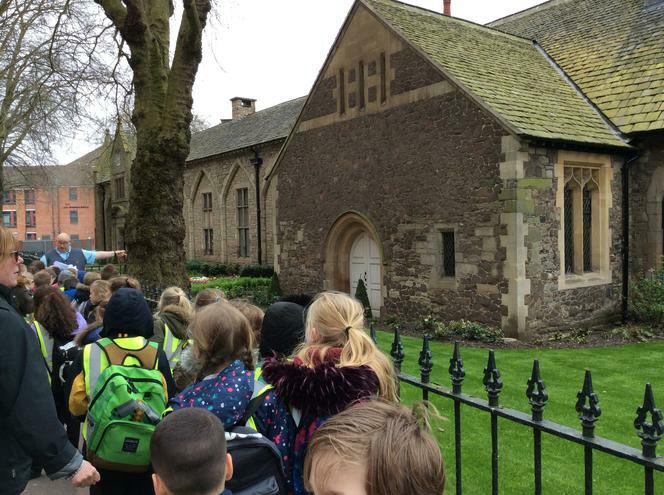 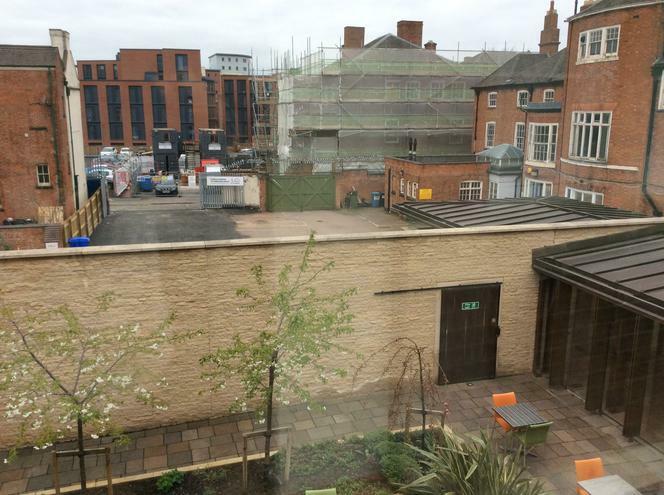 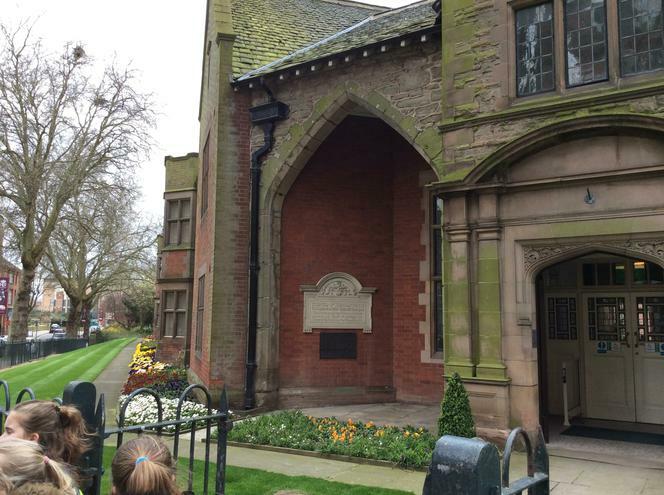 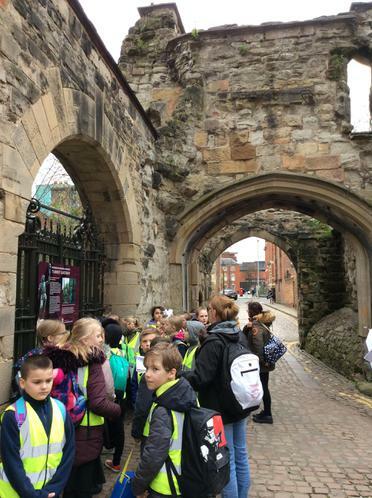 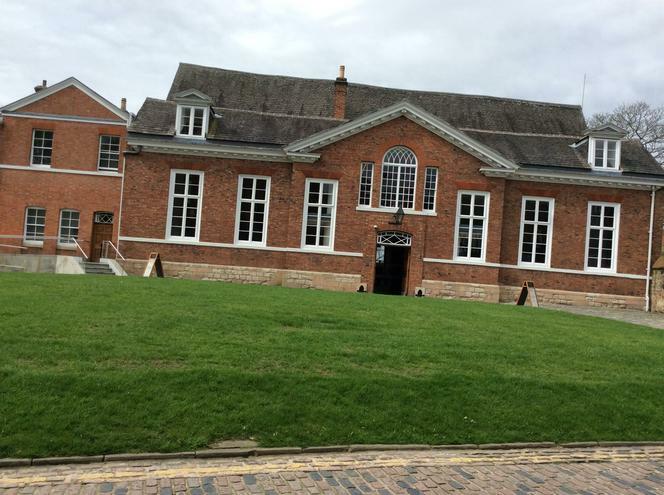 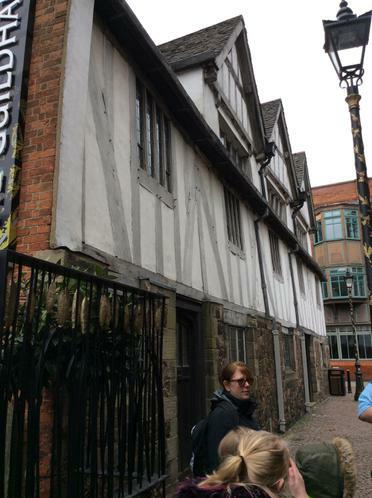 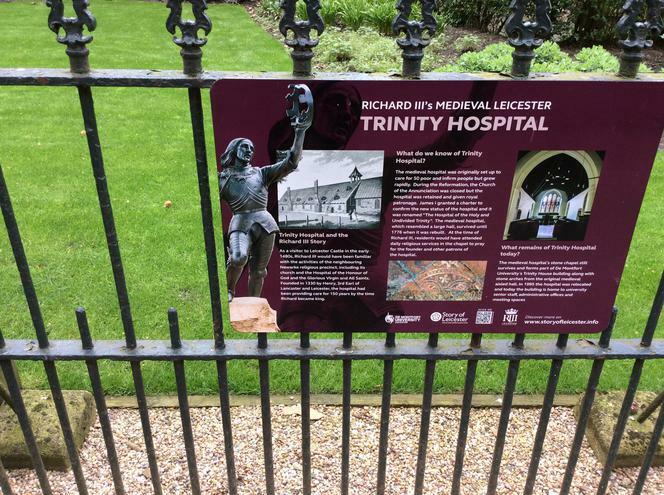 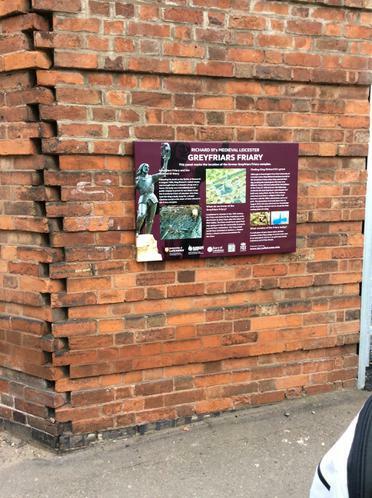 We then went on a tour of Leicester's street, visiting many historical buildings such as the hospital, castle and guild hall. 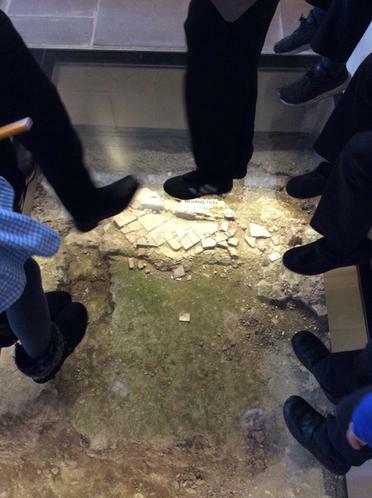 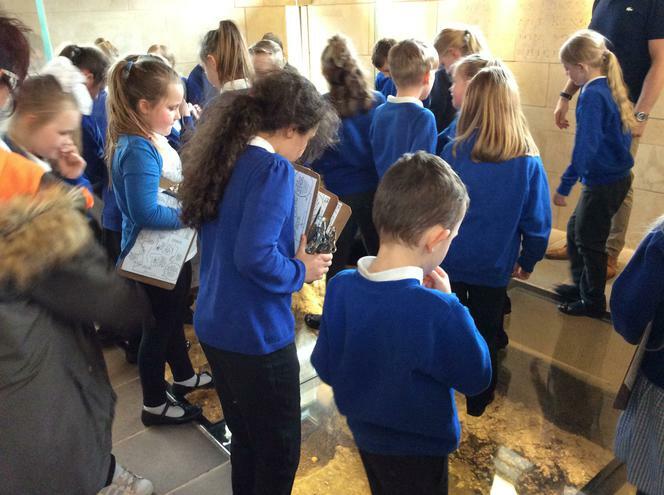 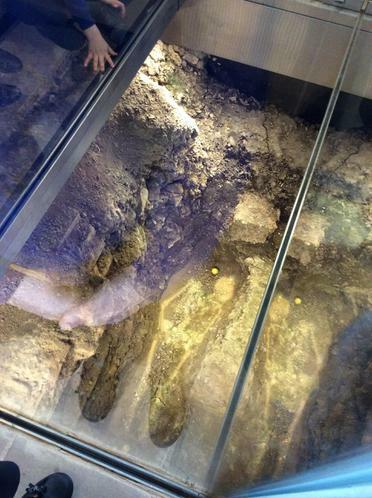 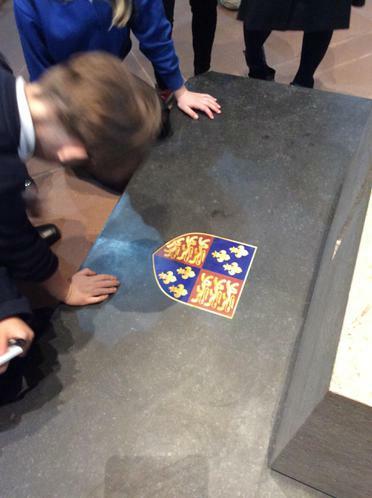 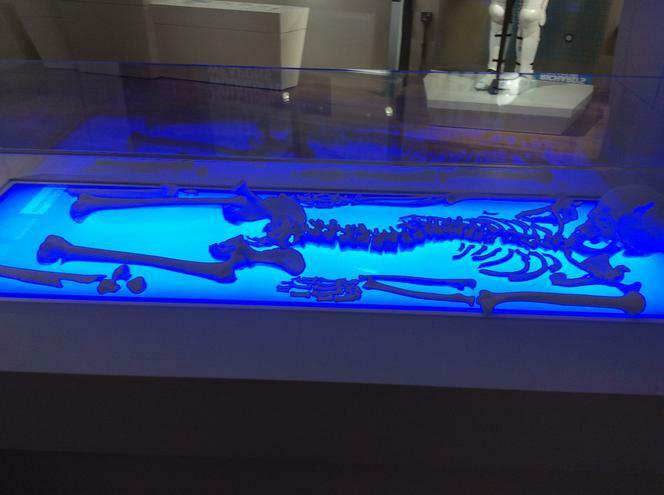 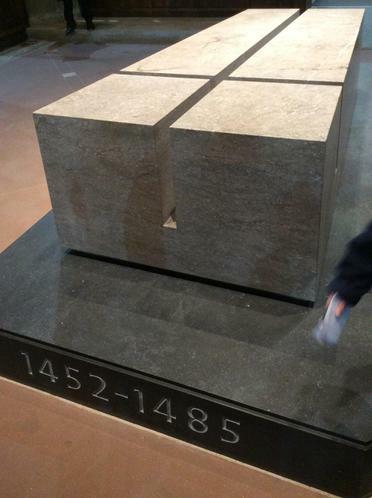 After lunch we explored the visitor centre, where we learnt so many interesting facts, we ended the day visiting the grave site where King Richard's remains were found. 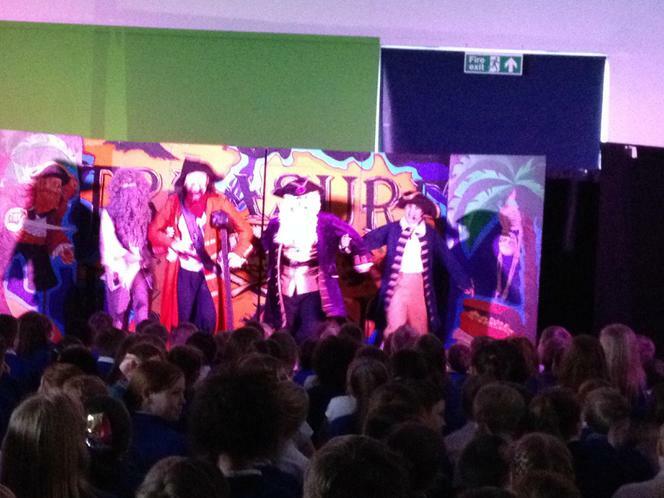 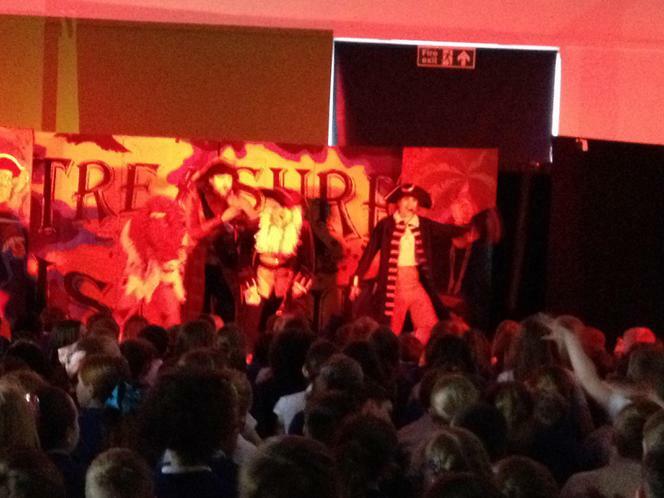 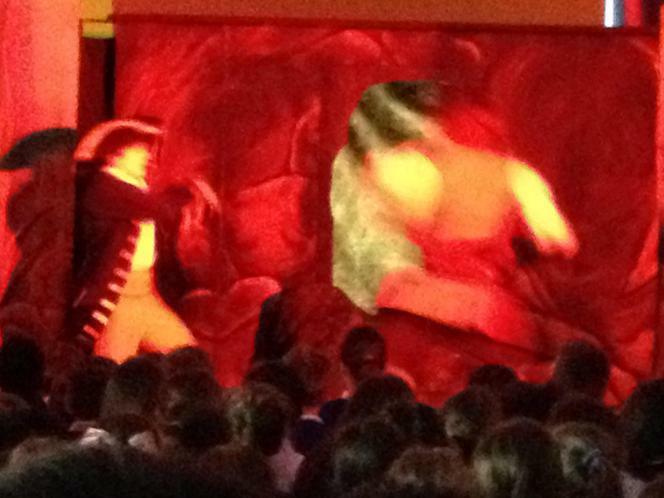 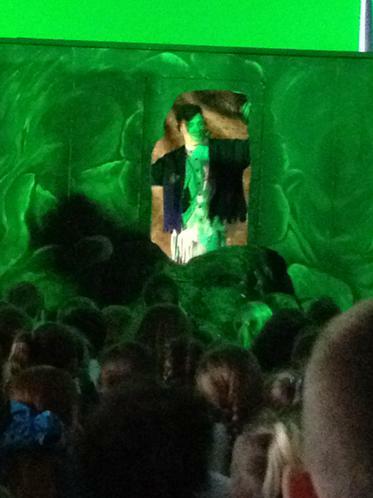 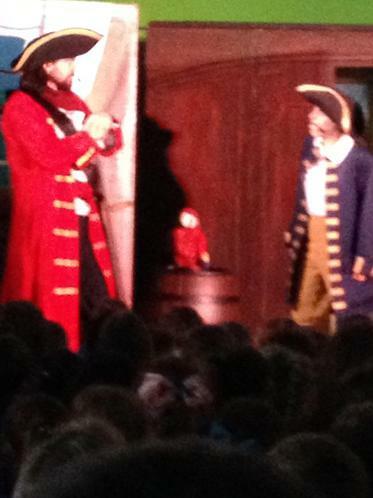 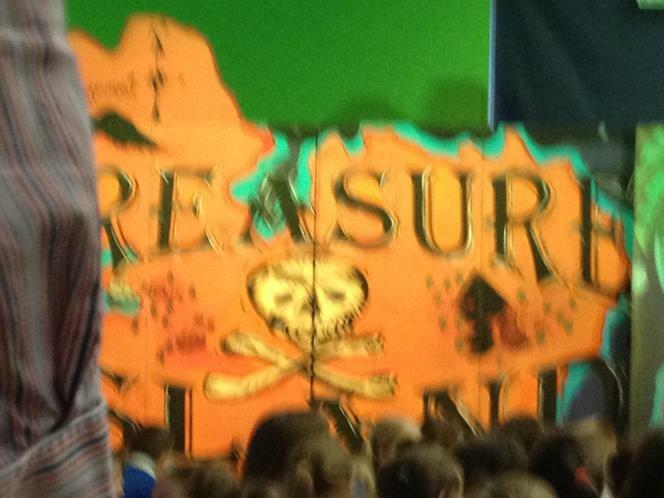 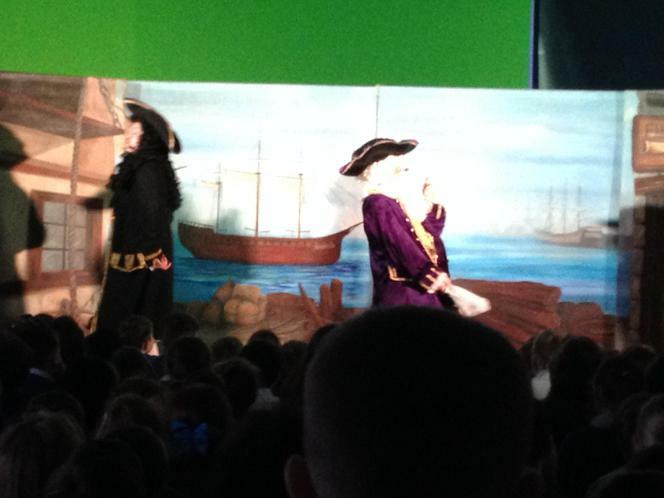 We enjoyed watching a production of the Treasure Island. 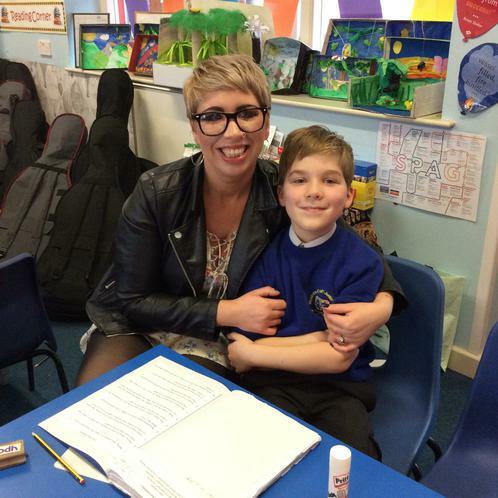 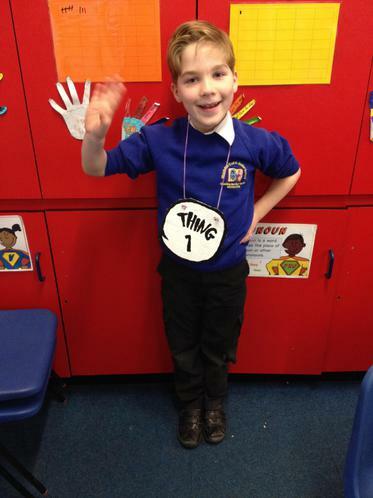 "It was amazing," said Dylan. 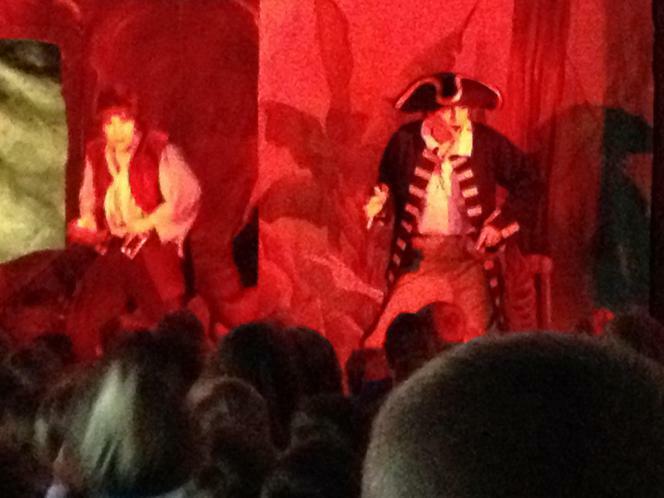 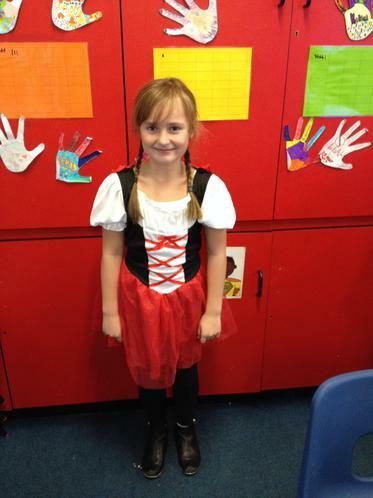 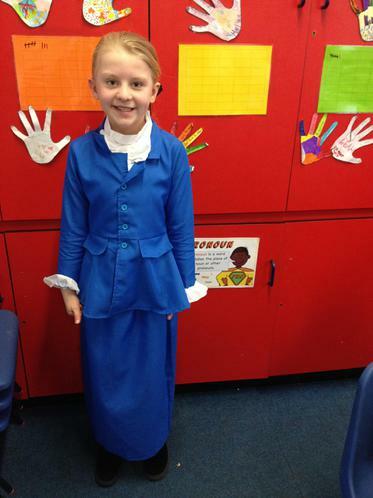 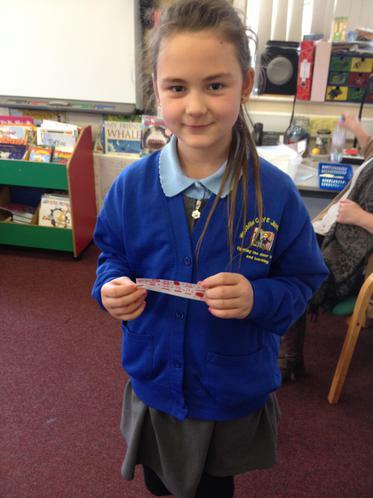 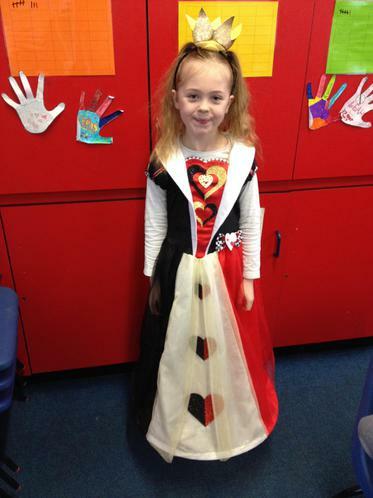 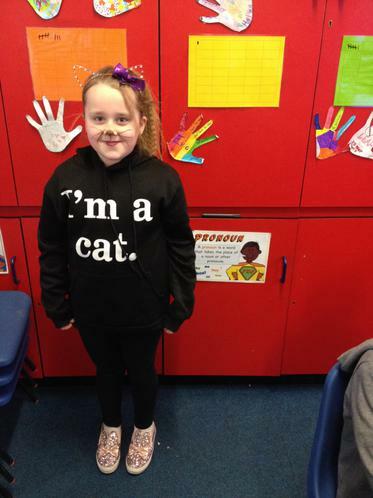 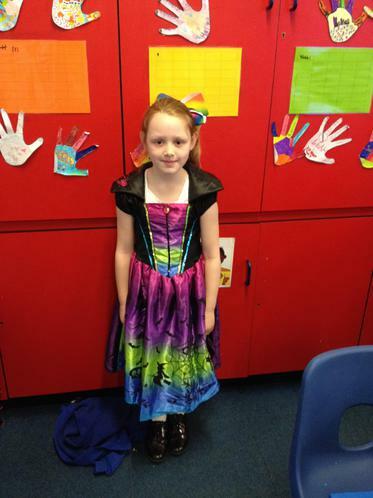 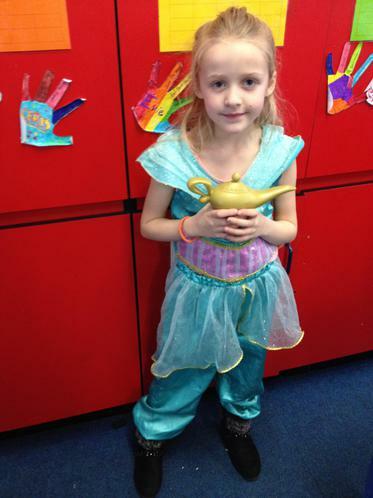 Lola said, "it was brilliant with all the guns and lighting, I want to see it again!" 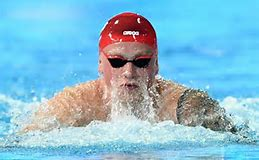 How could we slow Commonwealth champion Adam Peaty down in the water? 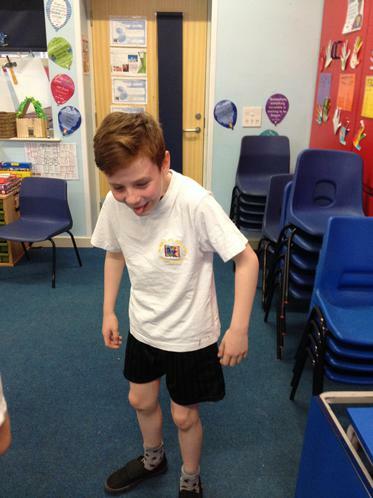 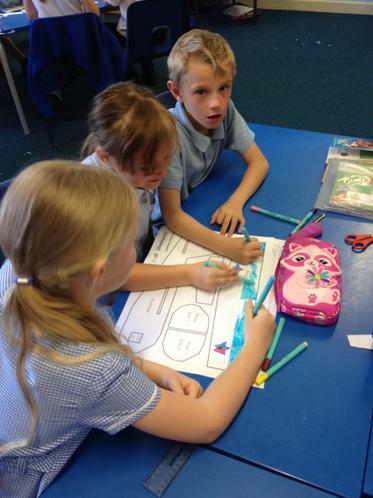 Today we investigated how we could slow down Adam in the swimming pool. 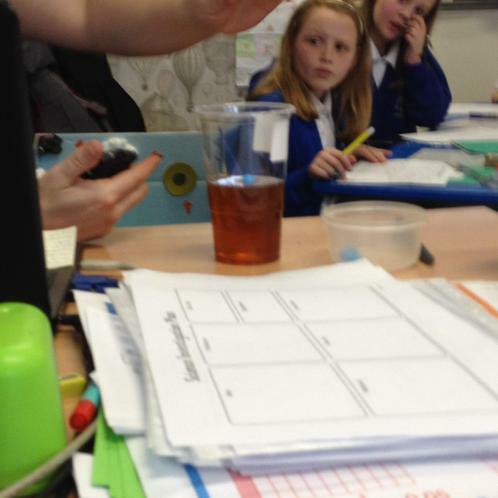 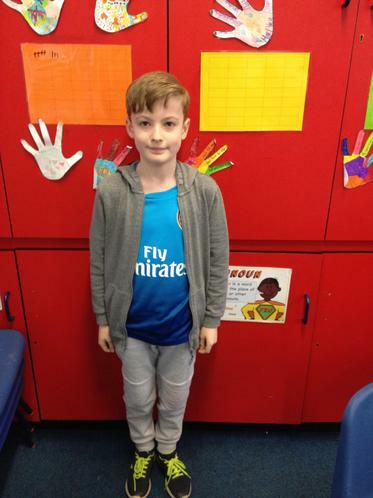 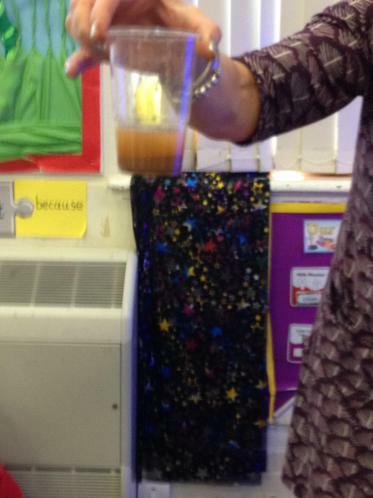 We learnt about viscosity and which liquids have a high and low viscosity and what effects this would have on the liquids. 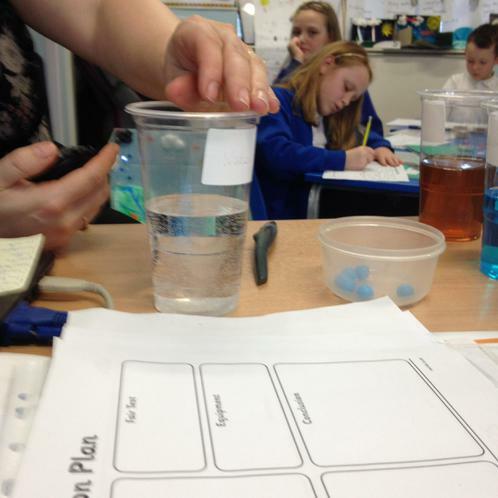 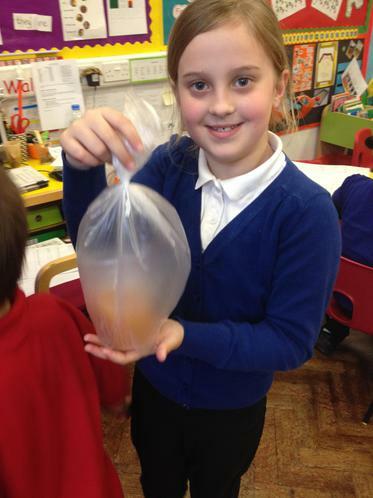 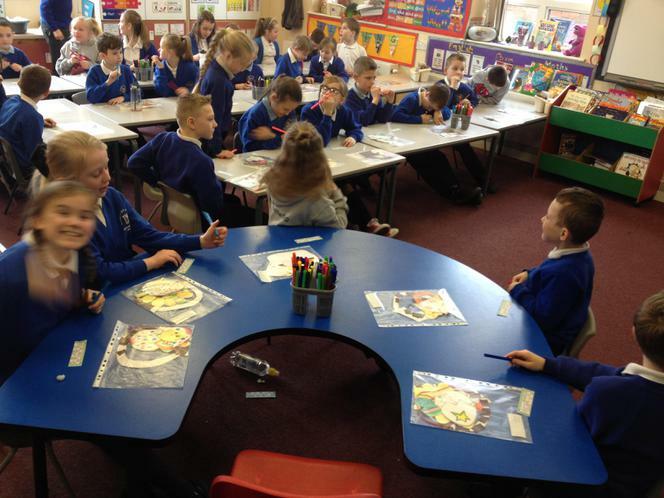 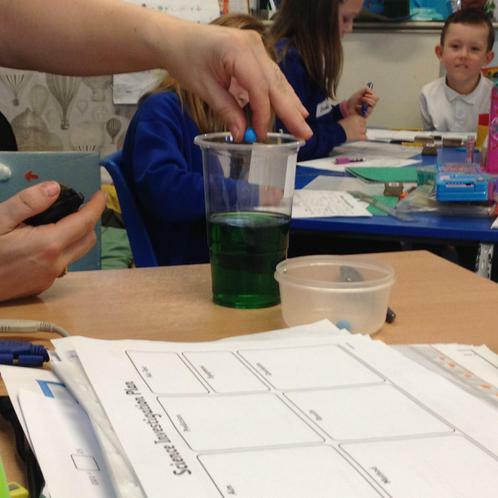 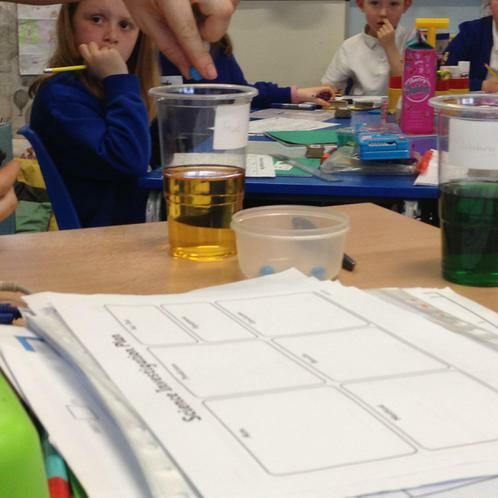 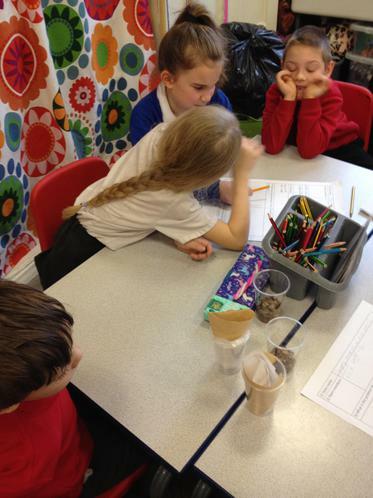 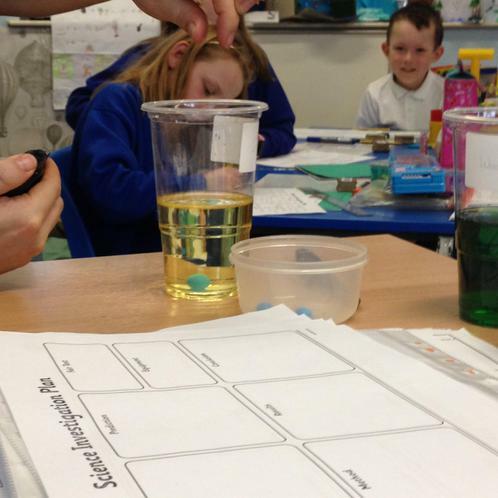 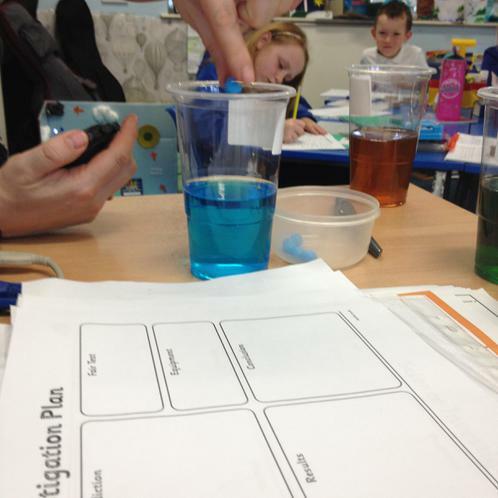 We then predicted which liquids we thought a marble would move through the slowest. 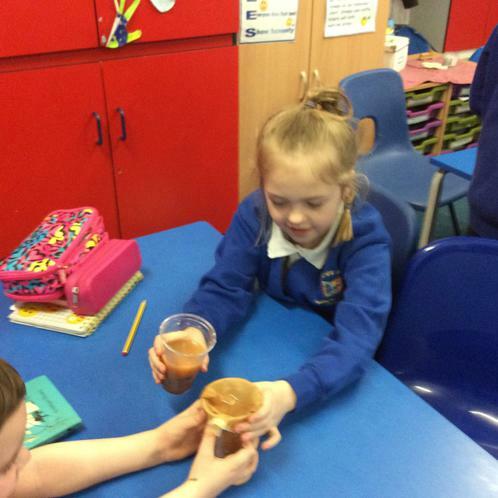 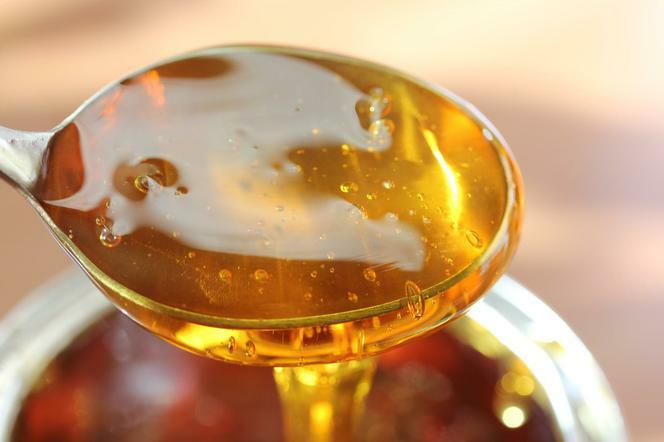 We discovered we would be able to slow Adam down the most in Syrup!! 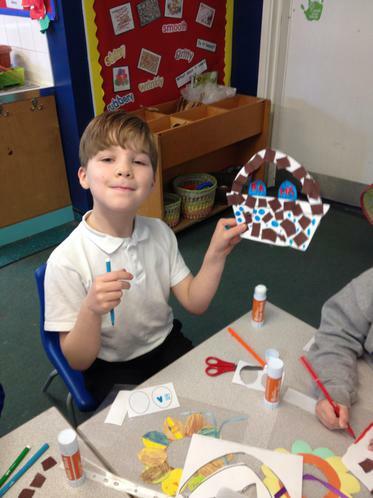 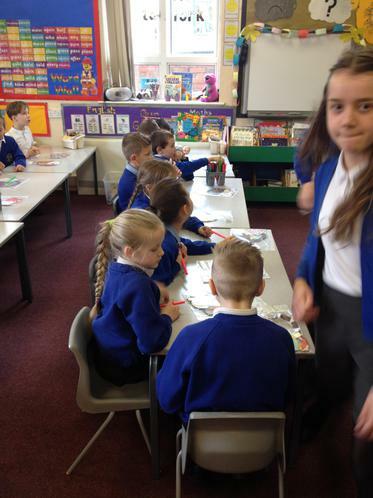 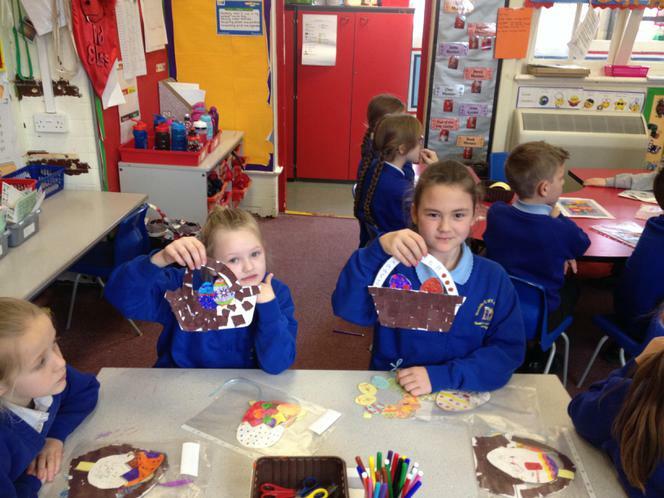 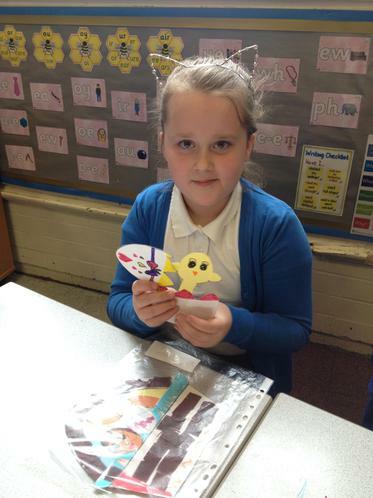 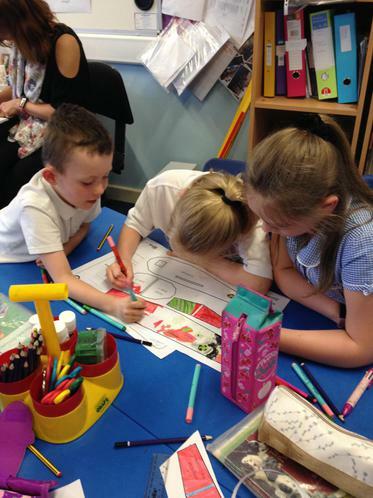 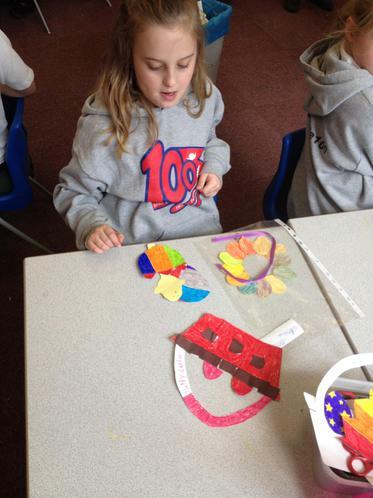 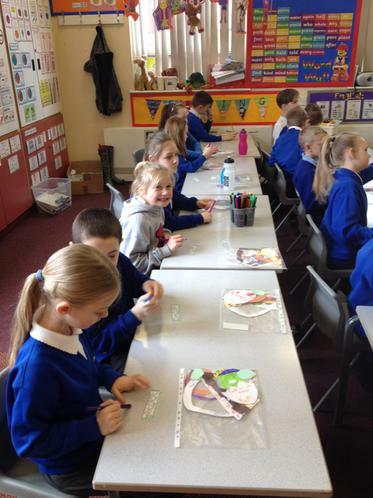 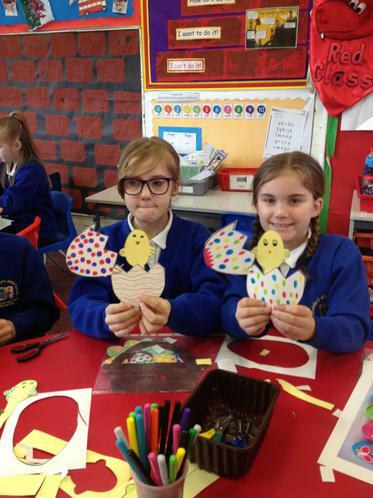 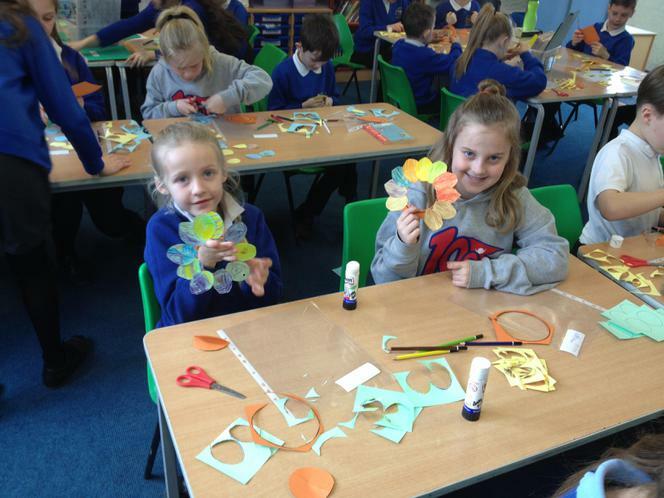 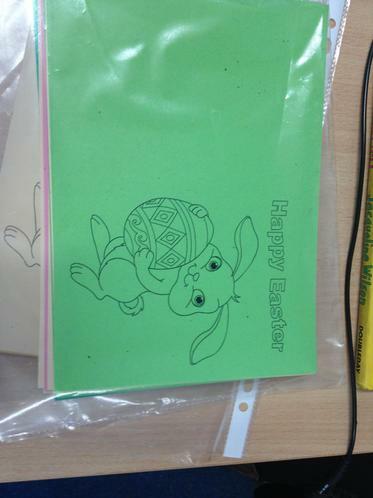 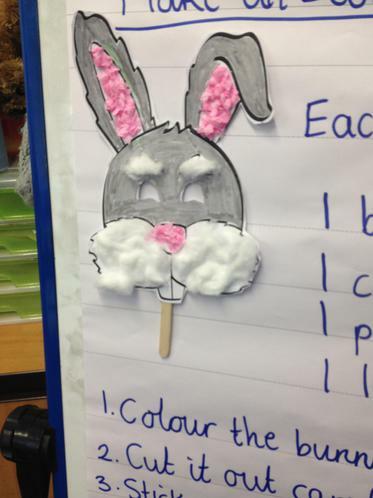 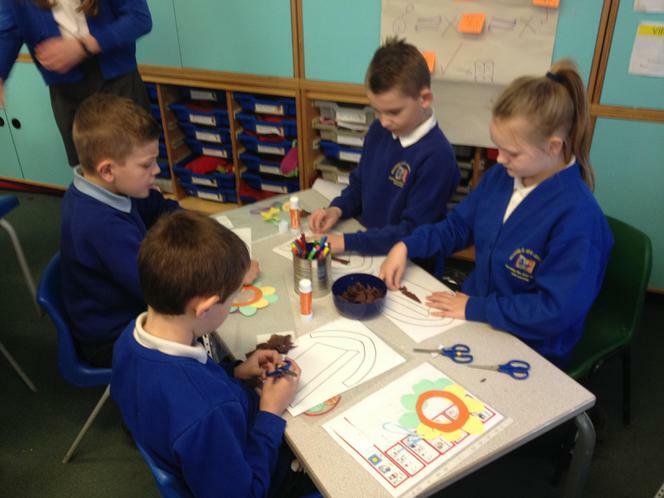 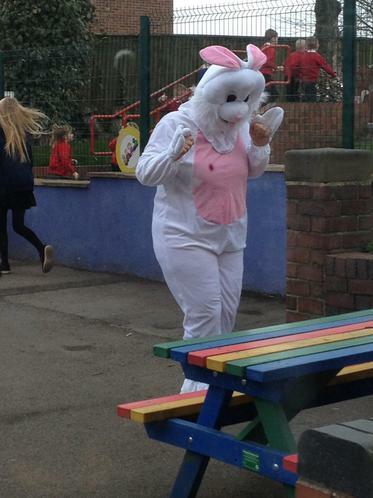 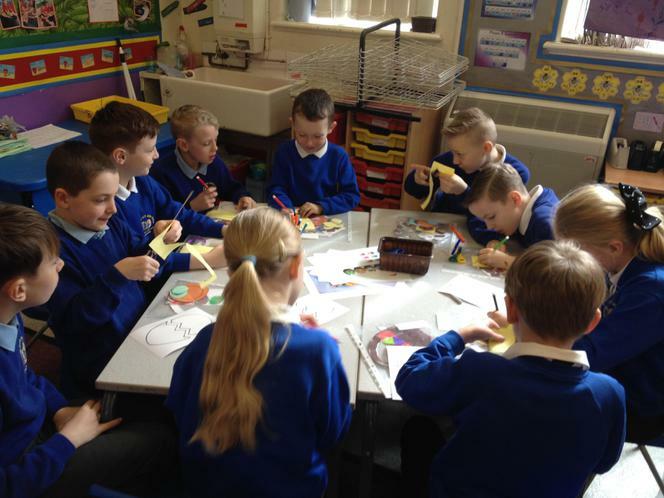 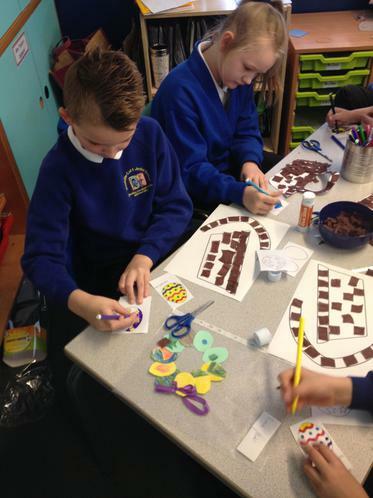 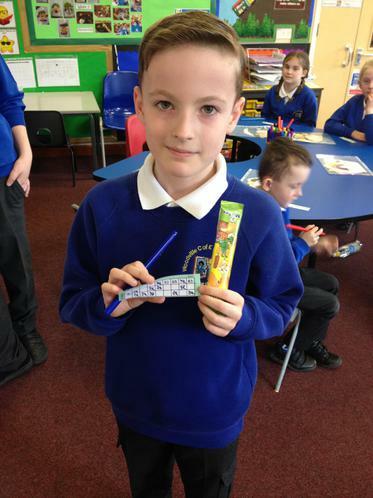 We had a fantastic Easter craft day, we went to each year group across the federation and made lots of lovely Easter crafts and even played chocolate bingo! 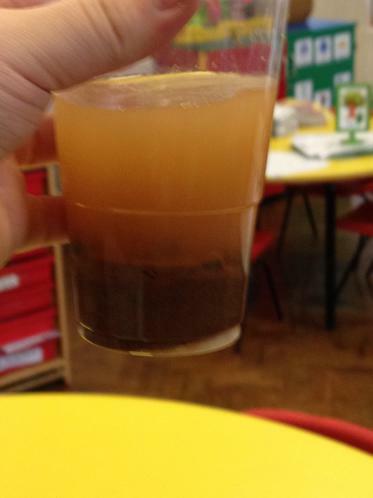 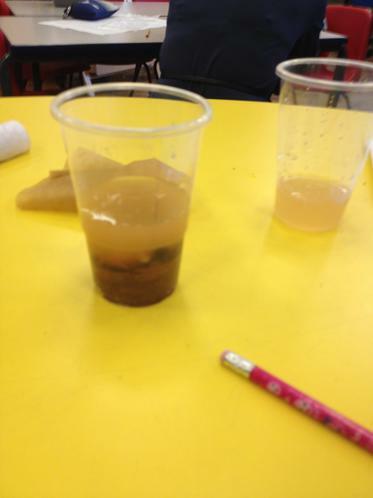 On Monday, we joined up with green class and found ourselves tasked with turning dirty lagoon water into clean, drinkable water. 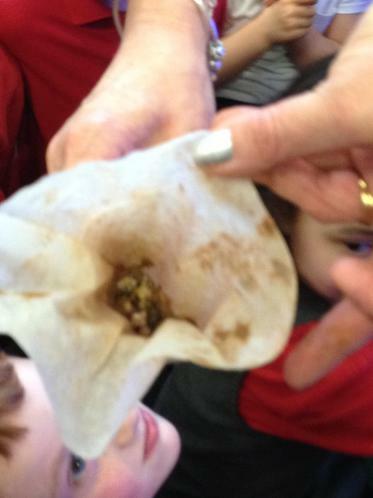 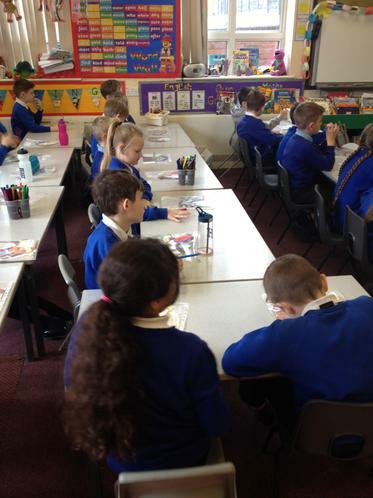 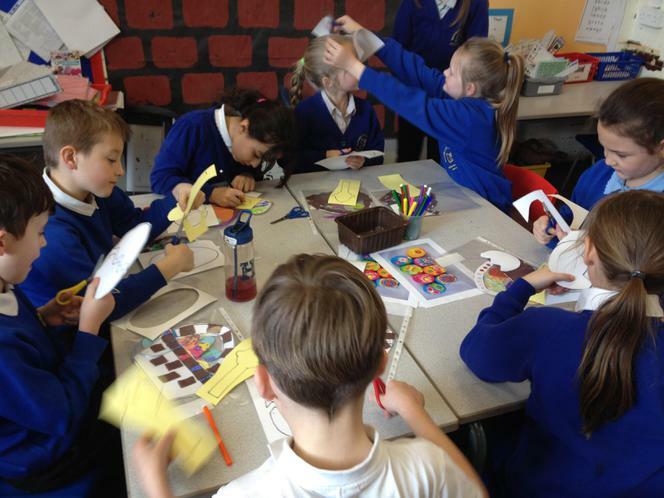 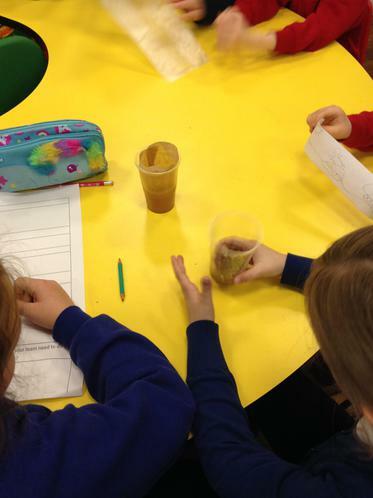 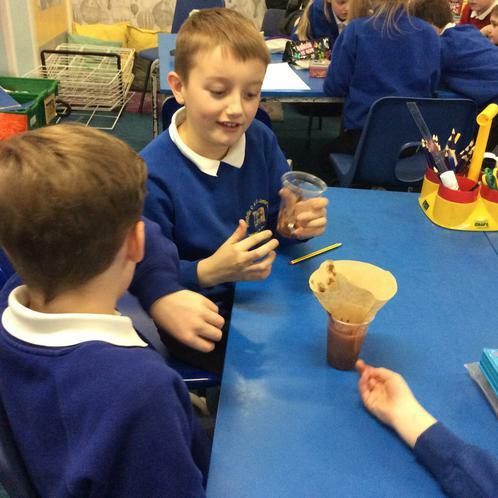 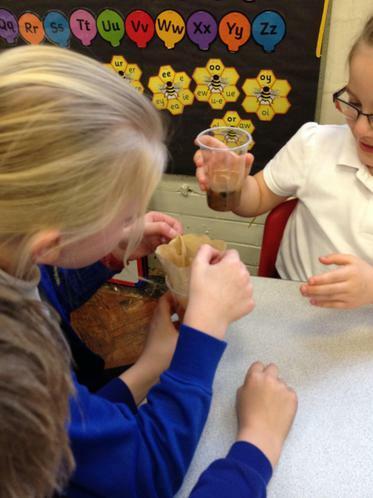 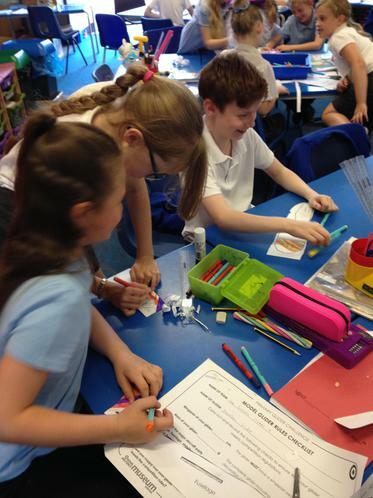 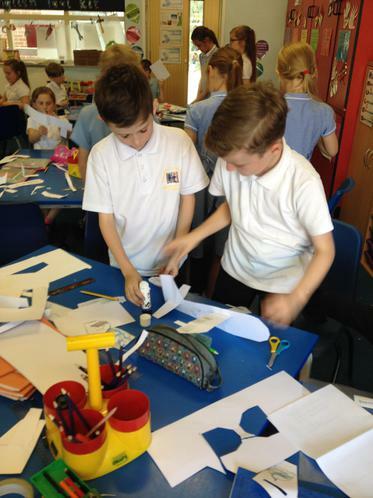 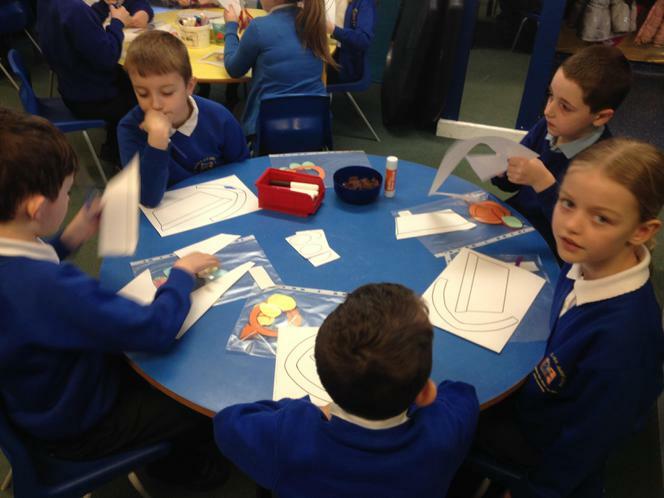 We had cups, filter paper, plastic bags, ties and blue paper. 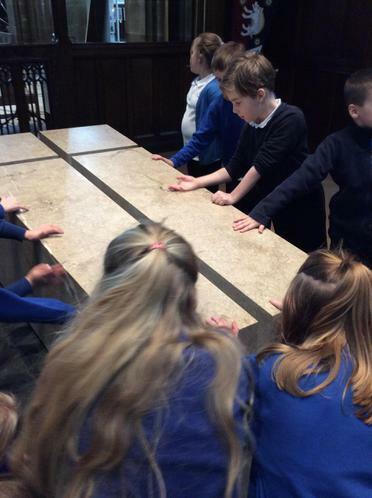 See if you can explain to your grown ups how we did it! 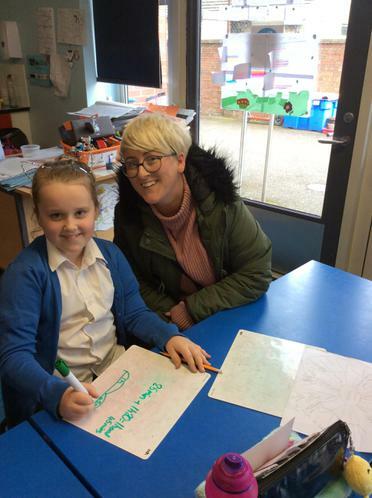 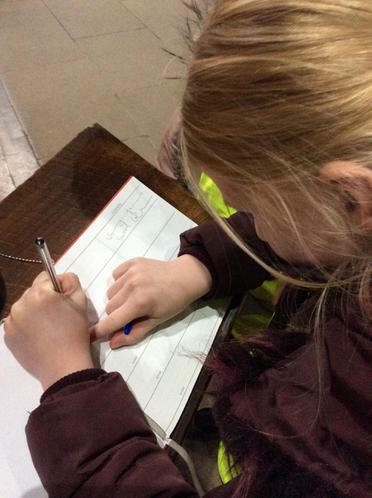 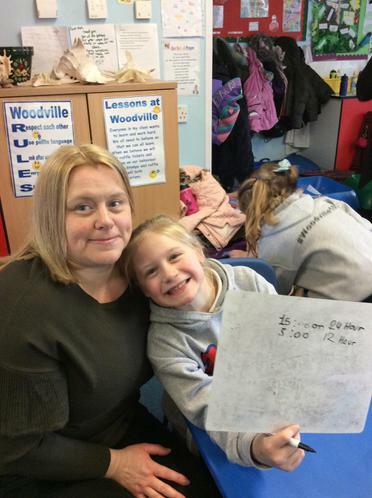 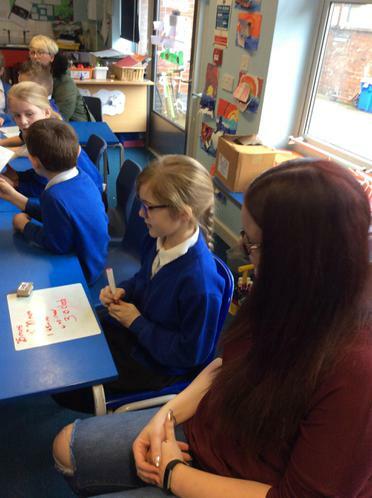 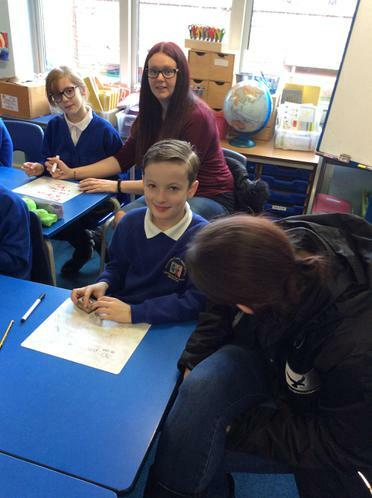 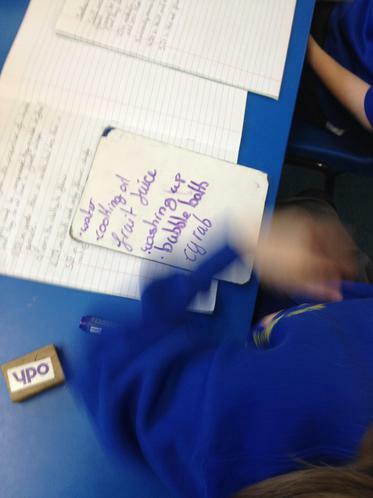 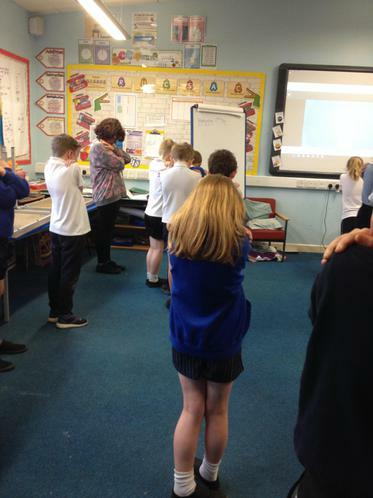 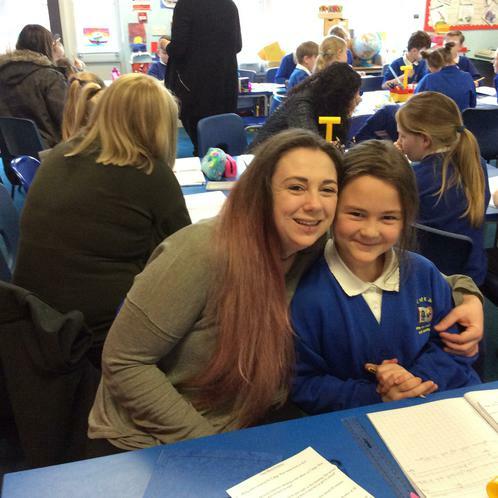 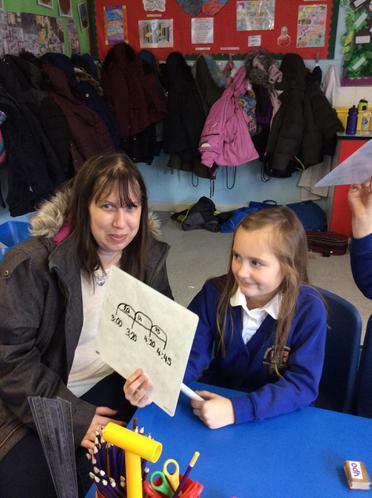 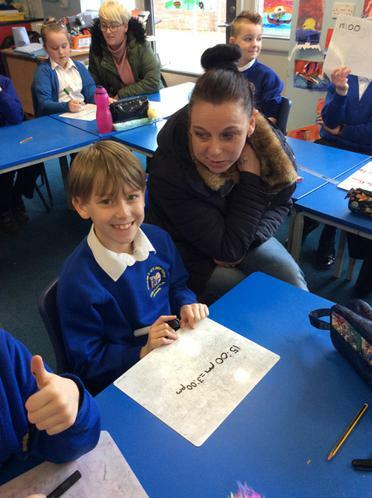 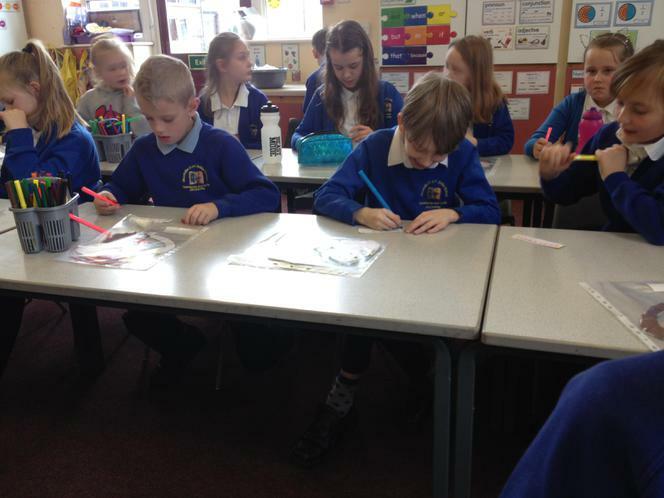 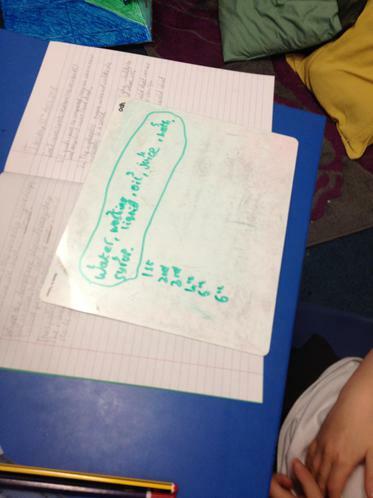 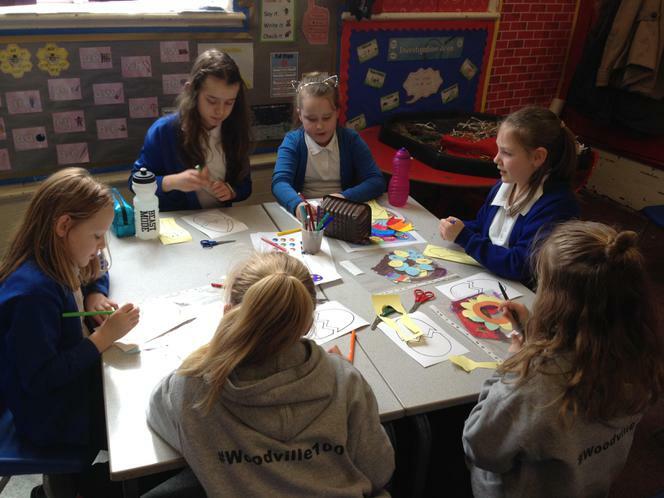 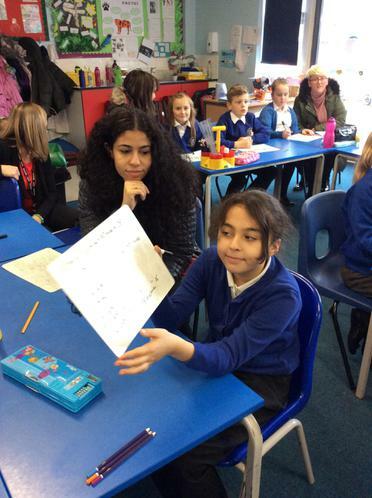 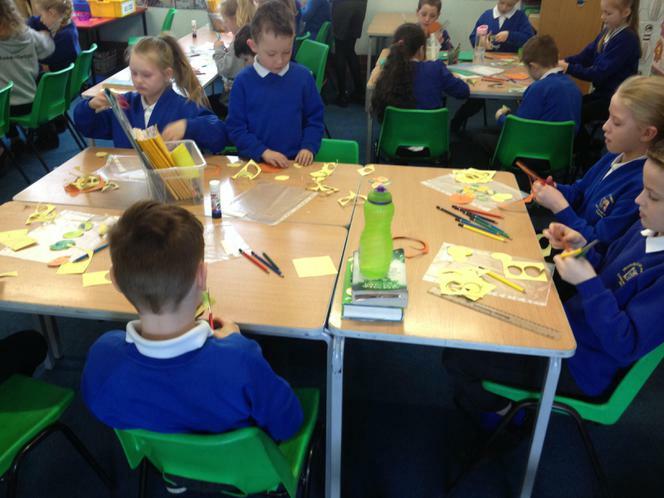 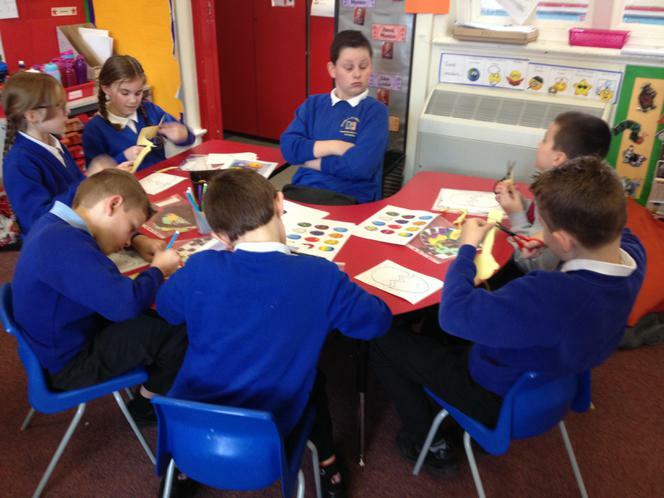 It was lovely to see lots of Mums in Class 4, they participated in a maths lesson, working out time word problems. 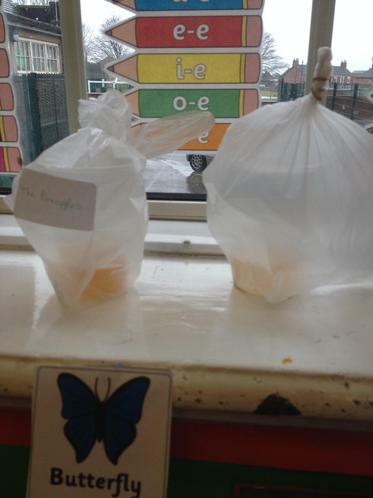 Hope you all enjoy your mini muffins. 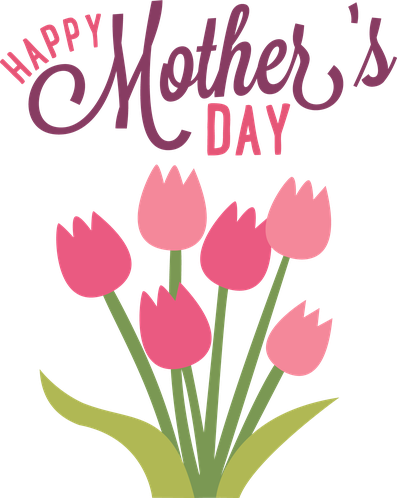 Wishing you all a lovely Mother's Day. 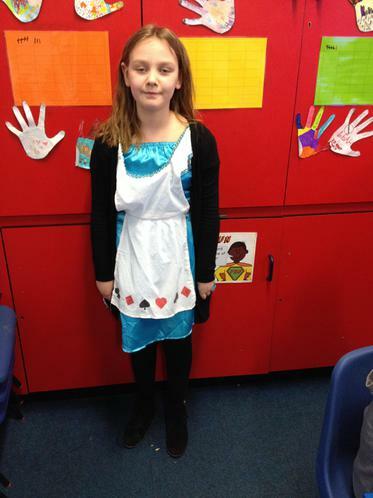 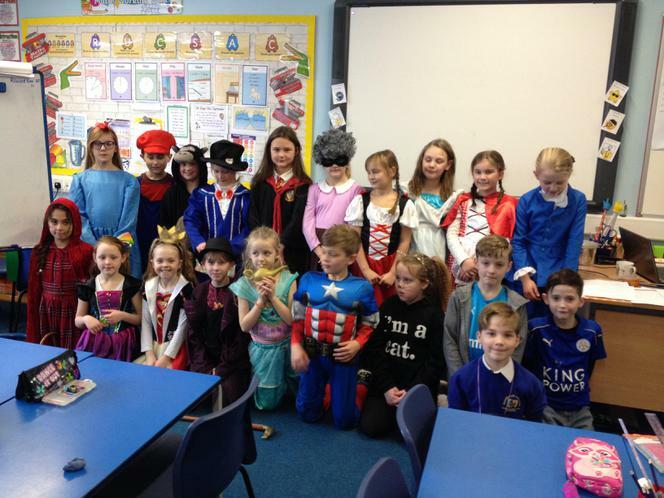 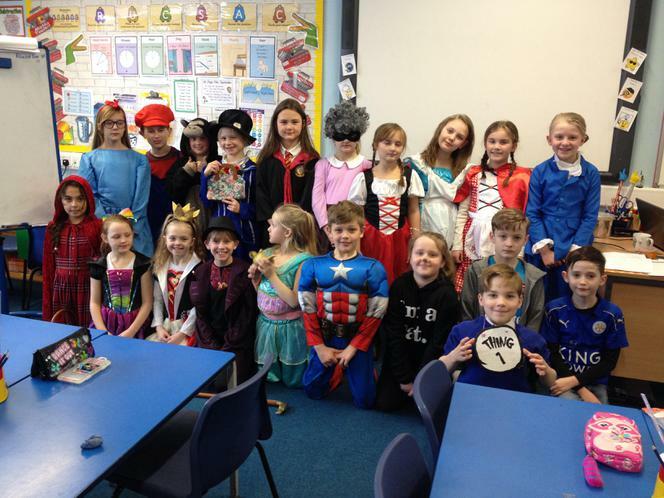 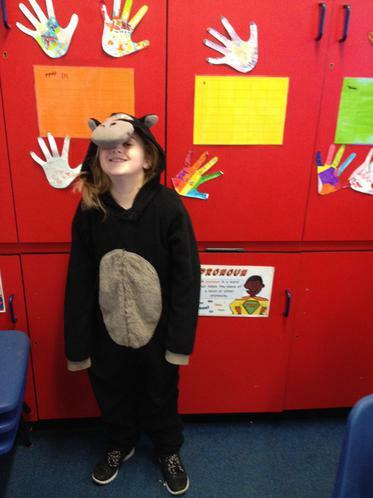 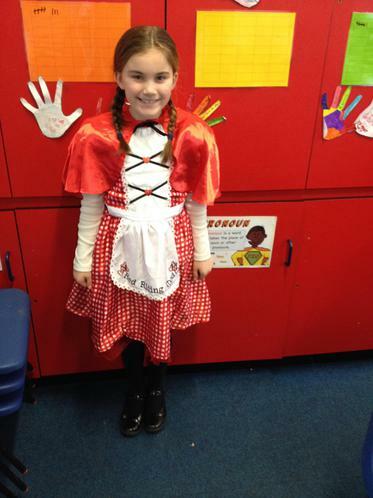 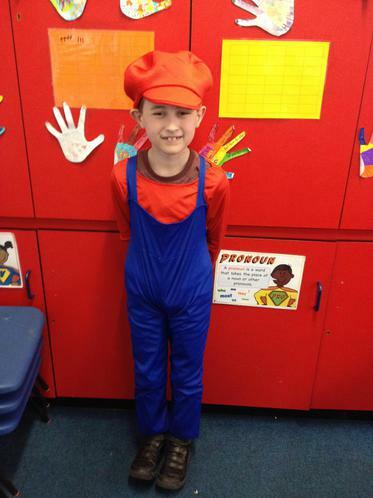 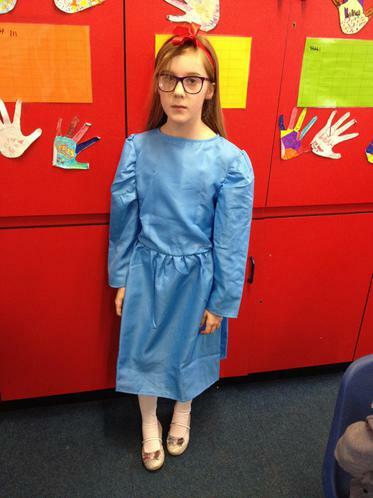 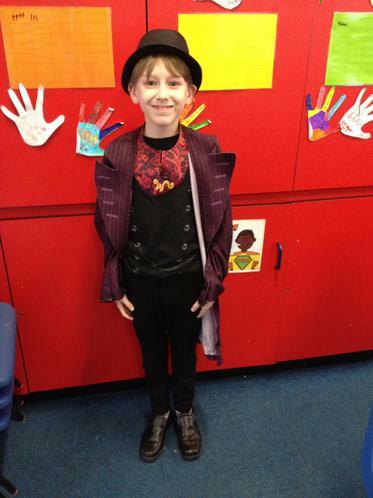 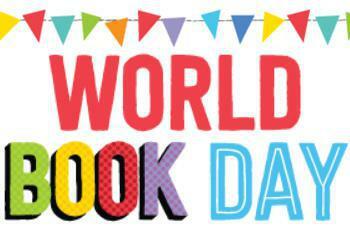 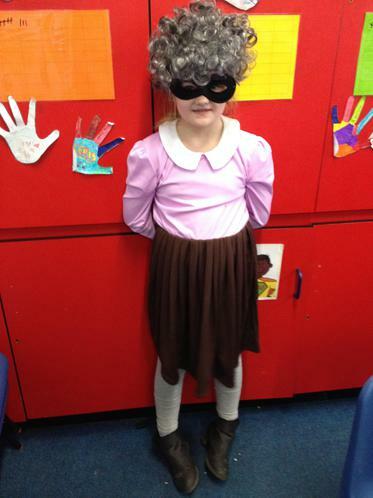 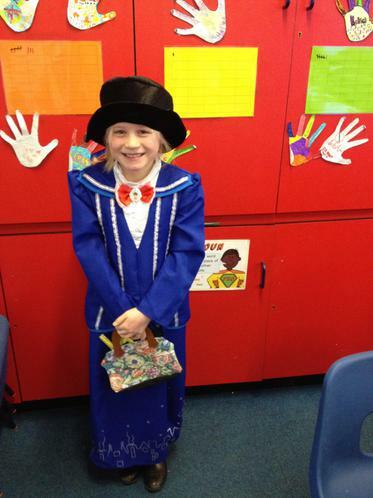 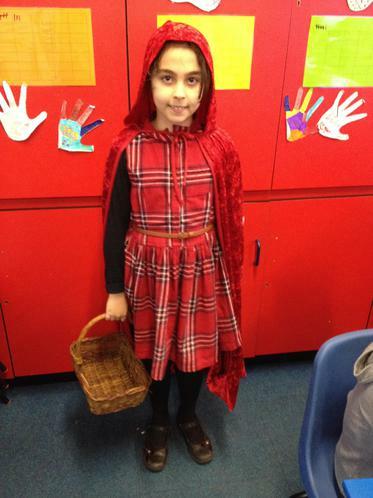 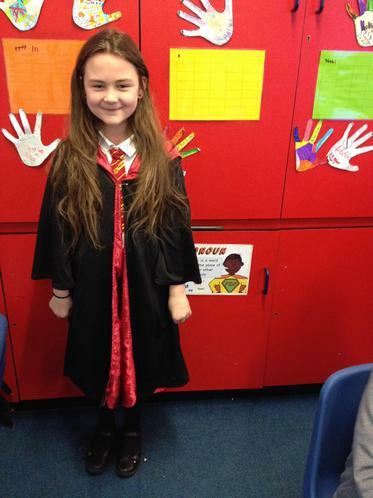 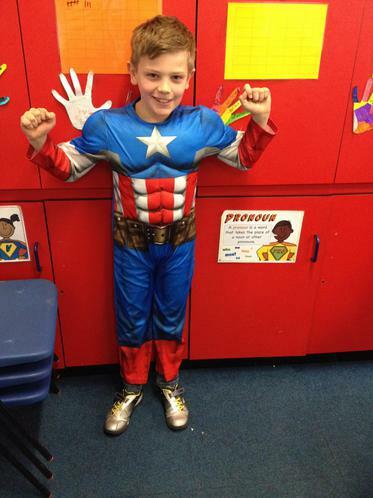 We have had a fabulous day today celebrating World Book Day, the children all looked fantastic and enjoyed telling us about their favourite book.